I've been using the range for just over a month now and I am very happy. The product smells divine, like you have just stepped out of an expensive salon divine. It's lasted well, you don't need a huge amount to feel like you have covered your whole head. My hair is definitely Shiney and has less frizz to it then before. I'm very happy with the range and will certainly buy it again. My top tips? Make sure you rinse very well to avoid any "heaviness" . It's been 2 weeks of using the range and I have to admit that I am impressed. Both the Shampoo and Conditioner smells like chocolate and since the range includes cocoa, it makes sense. Shampoo: The shampoo thoroughly cleans my hair without overly drying my hair (still slightly dries my hair out) yet still leaving it soft and manageable. The conditioner totally saves my hair from the slight dryness caused by the shampoo and moisturises my hair to perfection. 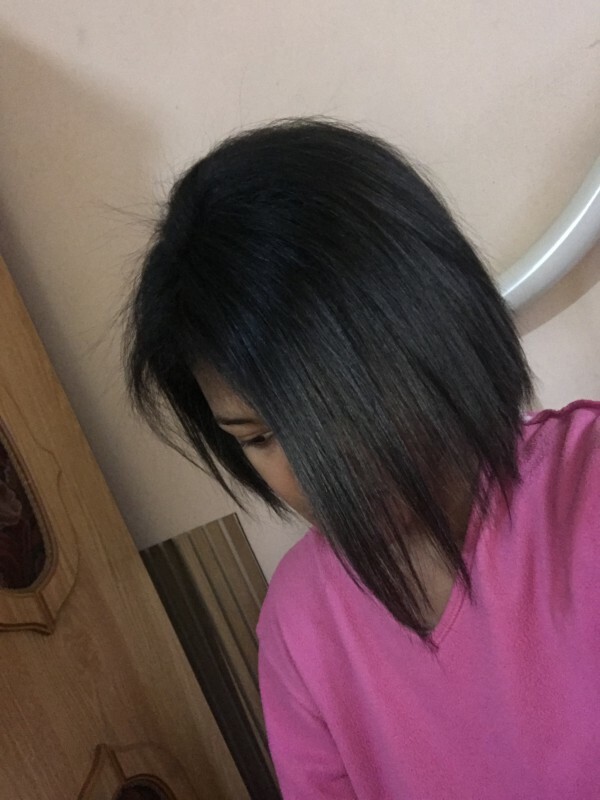 My mom noticed that my hair is slightly darker but I haven't noticed much of a change in the colour of my hair but the condition of my hair is much much better and healthier. It has been two weeks since I started using the amazing John Frieda Brilliant Brunette Visibly Deeper Shampoo and Conditioner. I have really seen such a difference in my hair from beginning! I was surprised at how fast the visible difference was as people around me noticed that my hair was a lot glossier and richer in tone. I have been using just the shampoo and conditioner every third day with no styling products just blow drying as I don't have all the time in the world to style my hair. With just the shampoo and conditioner I have seen such amazing results, being my hair is less frizzy and a lot more smooth and glossy. The richer tones of my hair is now visible and when I walk into direct sunlight it shines and sparkles so amazingly. I am definitely loving my hair right now and don't dread the thought of washing my hair anymore! Check out my latest thoughts Week 2 of the review. I have been experiencing real results and I can't wait to show them to you. Wow Fam! I have been well and truly slayed by this product. My hair is on some other level when it comes to texture and colour. It's way more vibrant and rich, which is been a constant struggle for me. This has really given life to my dull black-dyed hair. And added depth. 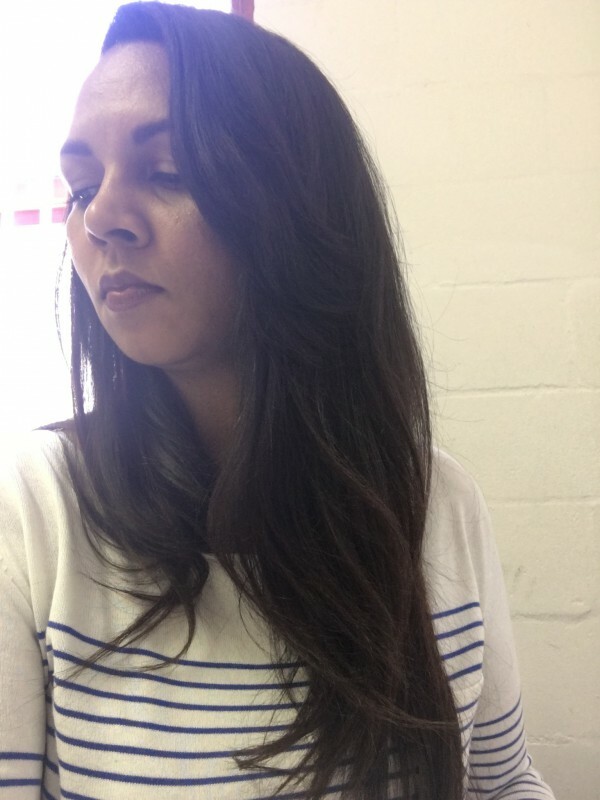 The texture of my hair has significantly changed, and it was first hard to disentagle this was due to re-conditioning my hair to be straight or the John Frieda range. The re-conditining issues have been immensely aided by this range and resulted in silkier hair after styling. And slowly I've seen a change in the manageability of my hair. What a stellar product. I had my mom try some of the product and she went out the very next day to buy the range. Granted I wash my hair twice a week, it stilled showed tremendous results. I can truly say I have never found aa semi-permanent hair dye shampoo and conditioner that hasn't been drying. But John Frieda has changes the game. So as many of you know i am a natural brunette. I do dye my hair dark brown/black from time to time. Although, I did recently decide to go blonde but after experiencing how damaged and dry my hair looked and felt i decided to go back to my natural roots! My hair is already looking and feeling much better and I have decided to take a break from dying my hair which is why I got so excited about the new John Frieda Visibly Deeper Range! Let me quickly explain what makes this product so amazing.. By using this shampoo and conditioner it helps to create deeper, richer, more lustrous tones in your hair. This simultaneously helps to add moisture to your hair and is formulated with cocoa and primrose oil. So you can now have beautiful dark hair without having to dye it or spend a ton of money at the salon! How cool is this? These products have a truly amazing smell to them! The shampoo is a silky smooth texture and the conditioner is very rich and creamy. This product has completely taken me by surprise and I cannot wait to keep you guys updated with my experience and the results. I will be doing a giveaway of these two lovely products on my instagram page (@helloitsangeli) so make sure you enter! A few days ago I received my John Frieda Brilliant Brunette Visibly Deeper Shampoo and Conditioner set and I fell in love. It was definitely love at first smell though as I tore through the bubble wrap the scent was just amazing. I was also pleasantly surprised that it was the 250ml bottle! Beauty bulletin definitely knows how to spoil us bloggers that’s for sure. 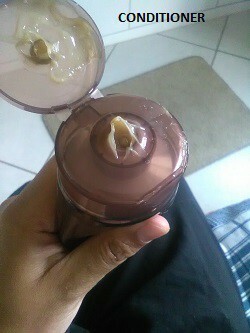 The packaging is soft touch and the cap isn’t a struggle to get open with wet fingers as some shampoo and conditioners are sometimes such an effort to open. Keep watching my posts for updates on my journey ! 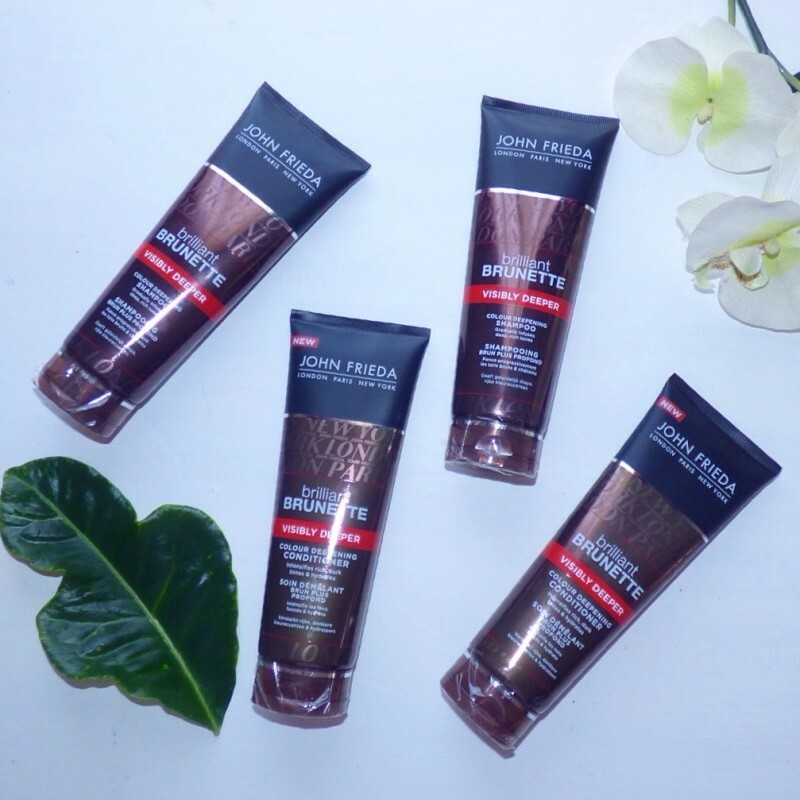 I've tried many different hair ranges to get the perfect look and feel so I'm excited to try the Brilliant Brunette Visibly Deeper Range as I've always wanted to try the bend itself because of all the reviews I've seen! 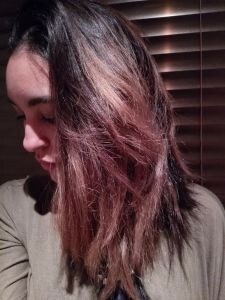 My hair is not unhealthy but it could definitely use a boost in colour. 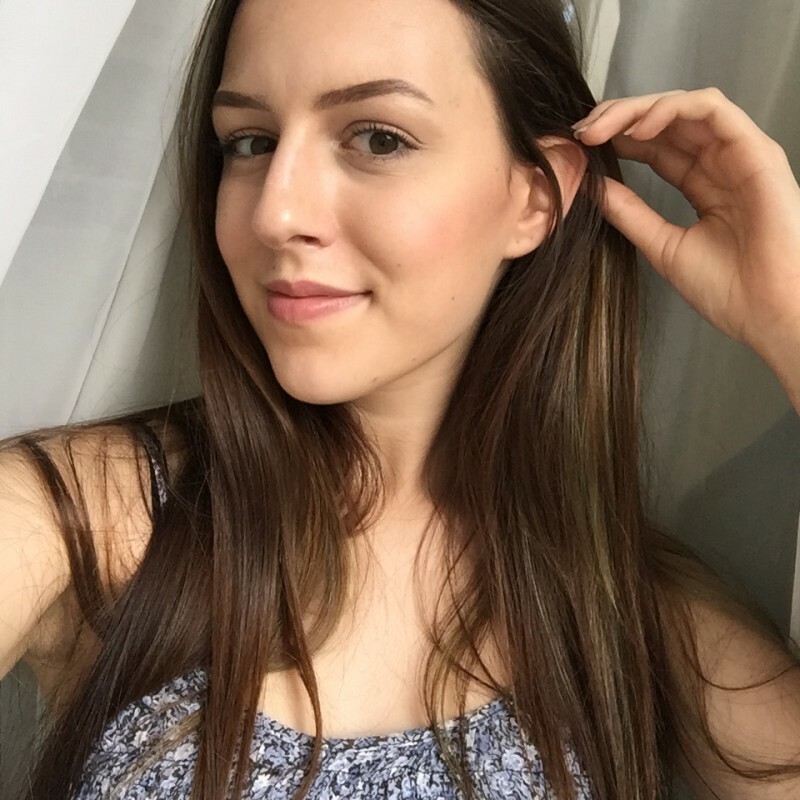 I'm a natural brunette but I dyed my hair slightly lighter at the beginning of the year and I have highlights that have gotten dull over the past few months so I would love to see how the product improves my hair. When I first saw the products, I was instantly impressed with the packaging & size! It is quite a bargain to get such a big bottle for R110:) Also, the smell is heavenly & one of the best smelling shampoos I have gotten my hands on. 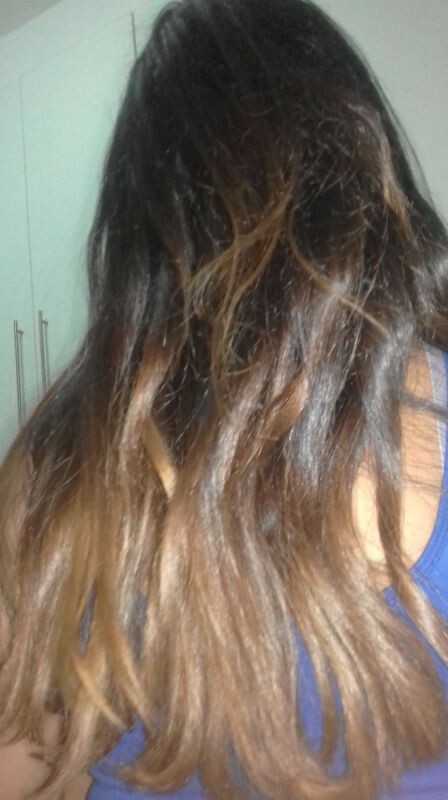 I dyed my hair at the beginning of the year and recently it has become very dull. It lost its depth of colour obviously because I haven't had any touch ups. • The smell is absolutely heavenly! I got my package the other day and was pleasantly surprised by the bottle sizes! 250ml What a bargain for R120 bucks. Now I've been trying to go natural for quite some time but due my my hairs reluctance and lack of funds for curly hair holy grails - I decided no. Here's where John Frieda comes in. The heat from straightening and blow-drying results in my hair struggling to retain hair colour and so I'm excited to see where this product takes me, as I absolutely love dark hair. The shampoo and conditioner smells amazing! I love the floral notes on the nose and the way it smells like a subdued High-End Perfume. I see a summer without having to worry about what I smell like thanks to this. On the note of texture, I love how the shampoo and conditioner feels respectively the shampoo has a lovely viscous feel to it that I cant tell will result in a thorough clean and good moisture retention. The Conditioner has a very silky feel to it which reminds me of Dove's oil nourishing range. And I must admit I'm not mad at it. 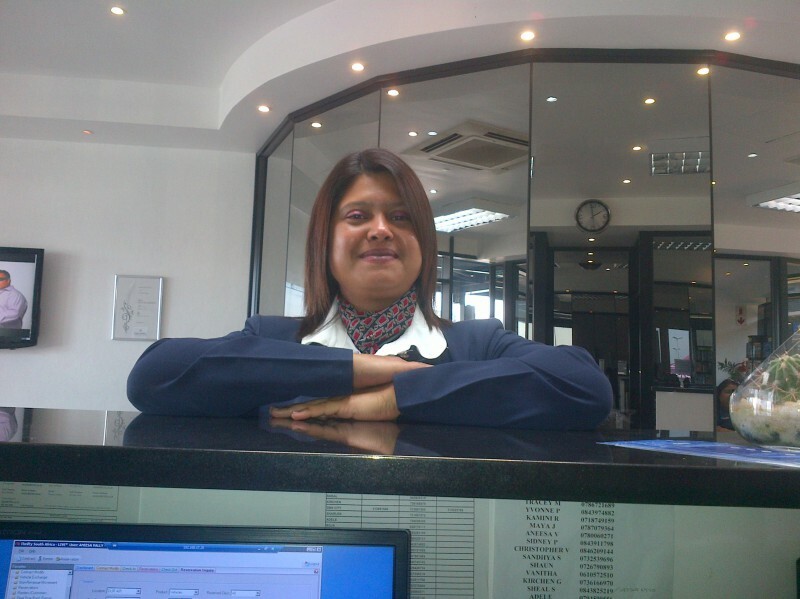 These were my first impressions, please do watch this space for updates. I can't wait to share with you how it works. Clicks didn't have stock of the visibly deeper conditioner so I used the visibly deeper shampoo, treatment and the brunette color protecting conditioner. The results are amazing compared to the color my hair was previously. It really gives your strands that deep brown color with each wash. The condition of my hair has also improved since using this range. Its shinier and so much more manageable. The smell is HEAVENLY! it smells like nothing I have ever smelled before! Almost not like shampoo/conditioner but like a really nice perfume :) I absolutely love both fragrances! 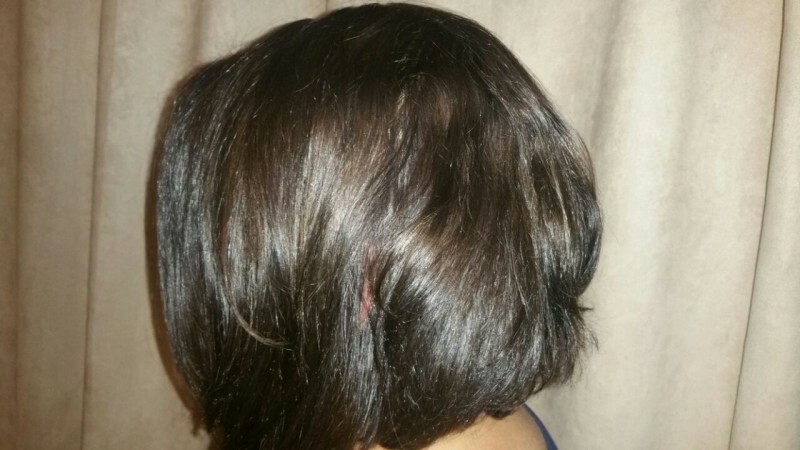 I recently bought the deeply brunette products, as they were rated pretty high on the site, and being a lover of coloring my hair I felt the need to find something that protects and nourishes my hair, yet retains the salon color. With my first wash I refused to review just yet, as I felt it was too soon to tell. Like they say the proof is in the pudding, but only once you taste it. 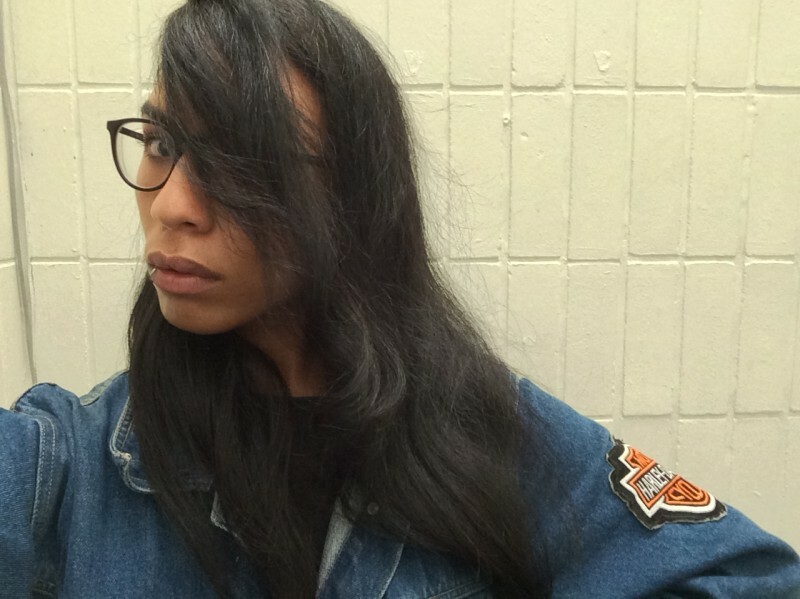 So, I waited a full 5 washes before i write review of my own.My hair is super long and fine but well cared for. I believe my hair is like a mane of a lion, its your pride and joy. The smell and packaging of the product, showed the professionalism and it instantly meant John Frieda was serious about hair care as I was. I used the product three times a week as my hair oils up quick with work and all the physical activities of a day. I found the product to brighten my hair color the brunette parts of my hair and left it less tangled than i use to have it before. My hair blow dried a lot faster and kept a lot more volume, without extra products in it compared to other products I previously used. 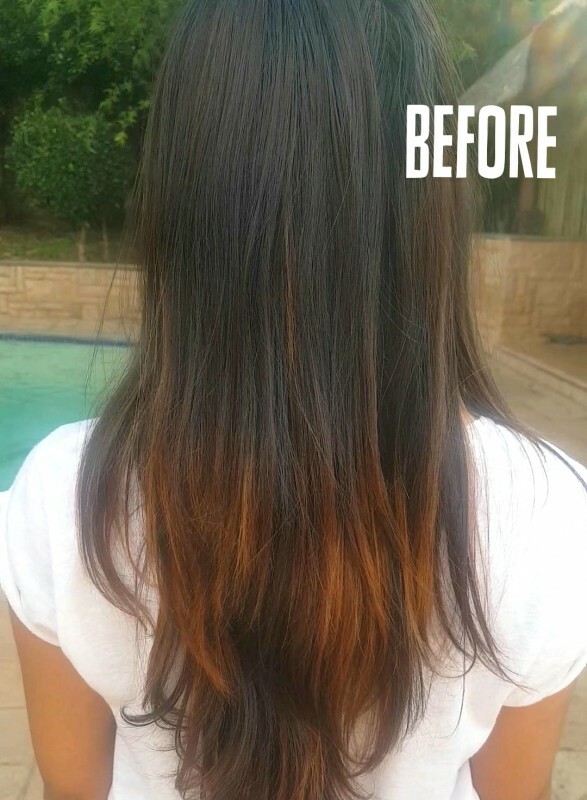 The product left my hair feeling sleek and healthy and less damaged from the dye. 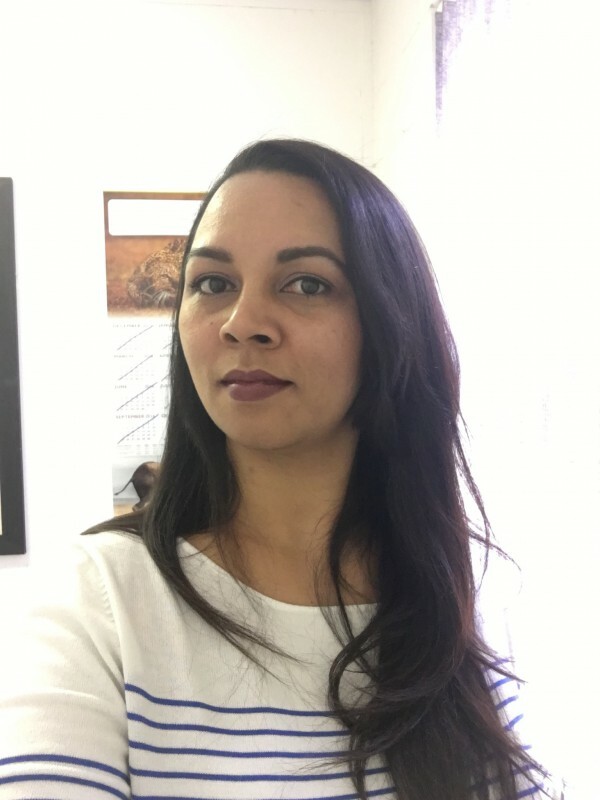 the down side of the product is, my hair is 8 different shades of brunette and browns as my hair stylists loves to go Kyalami on my salon visits. She always tries a new cut and her new versions of colors to compliment my skin tone and my lifestyle. I sometimes feel she complicates my hair care and styling on a daily, but she is right my hair makes me feel great about my skin tone and complements my career. I would definitely recommend it to others, but i wouldn't recommend it for people who have more than 3 shades in their hair. It works for some parts of color and the others are left looking slightly limp. Cost wise it is a little pricey but worth it if you spend that much on salons, for me with super long hair, it's costly as I use a lot more product than a person with short or medium length hair. So in conclusion, the product is worth every last cent and it gives results, but it was not the product for my hair colors. So I recently receive these goodies from John Frieda which is their new Brilliant Brunette Visibly Deeper shampoo & conditioner. After using these for between 2-3 days the results were beyond my standard.It left my hair looking and feeling more healthy, shiny and with much more volume. And this came through by the 2nd day is used them. I found that my hair was not as tangled as it normally gets when washing it so that decreased the chances of rapid hair loss when combing it out in the shower.My hair looks better than it has ever before and it is so said that i would recommend this to everyone who struggles with hair that is dry, damaged, weak and worn out by color or dye. 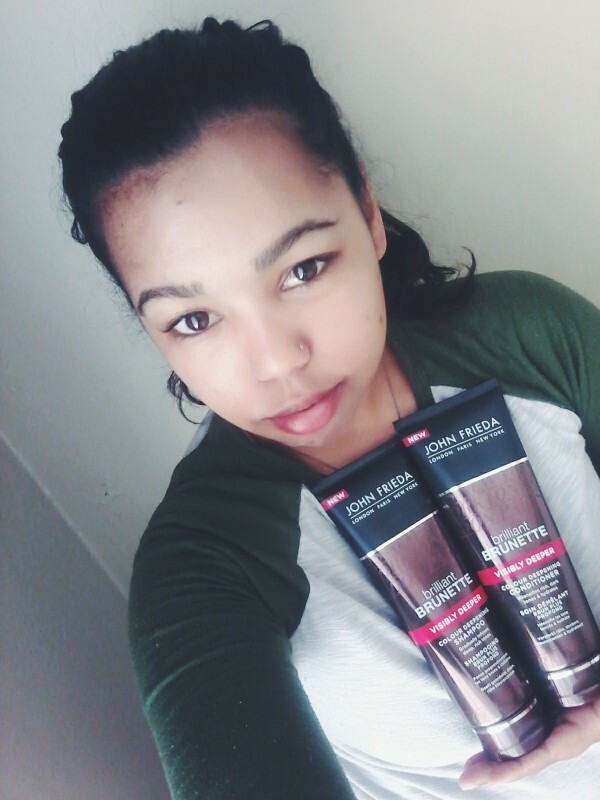 With its given price range of R110.00 each i feel its definitely worth it as it gives off the result of a R300.00 do from a salon! The deep, dark chocolate colour of the packaging gives away the surprise that's created when you use this shampoo and conditioner. Its foamy lather is rich and easy on your hands... it smells amazing! Two shampoos gets your hair really clean and the smooth, creamy conditioner leaves your hair shiny and soft. But the real surprise is how the shine of your chocolate locks remains clean for two to three days... and shine doesn't fade. I really loved using this product. My hair is shiny and clean.. and the colour is really rich and dark! Hi loves please head over to blog and catch my write up about these products, they are on my must-haves list.Literally replacing my old shampoo & conditioner with these.Yes my new staple. 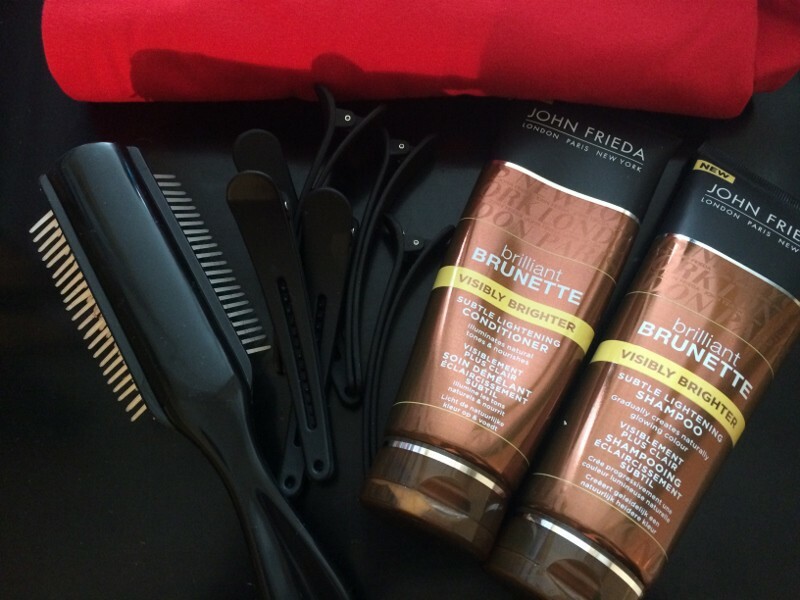 I was lovingly gifted the John Frieda Brilliant Brunette Shampoo and Conditioner to review for Beauty Bulletin - thank you Beauty Bulletin. I took on the trial even though it is just the ends of my hair that are brunette and apart from being interested in the range, I also wanted to show that hair care products do not know your race but are texture or 'hair need' specific and we need to stop bypassing the so called white people or black people hair care aisles and notice what our own individual hair requirements or hair needs or hair wants are and then find the solution regardless of the aisle. If you have colour treated hair you need to ensure you are using colour friendly hair care products. John Frieda as well as many hair care brand do have a range specifically for colour treated hair (as well as natural hair with colour specific needs). The Brilliant Brunette Visibly Brighter Subtle Lightening Shampoo and Conditioner have been formulated to enhance the glow of the hair and boost lightness. (not lightness as in make your hair turn from brown to blonde but lightness as in help give a subtle glow). How do they do this - they are formulated as colour depositing, ammonia and peroxide free products. I received the products about 10 days ago - I used both the shampoo and conditioner the same day that I had received them as I was due to wash my hair and then mid way I used just the conditioner as a co-wash and then I used both the shampoo and conditioner one more time on the due date of the review (the pressure lol) but on the 3rd use I made sure to pre-poo with a blend of oils and a detangling spray before using the shampoo. 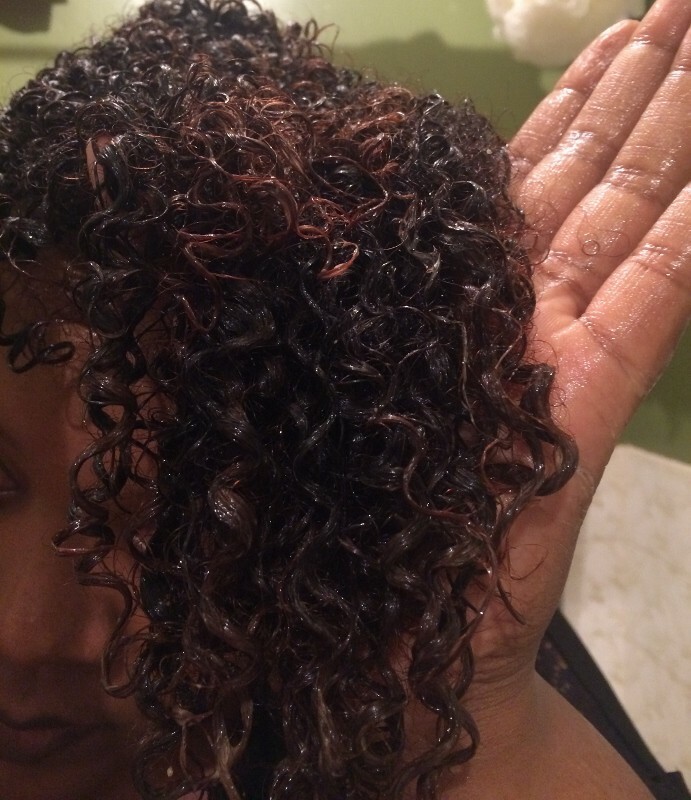 (I detangle before I wash so that the product spread easily and reaches the scalp and for more defined curls). 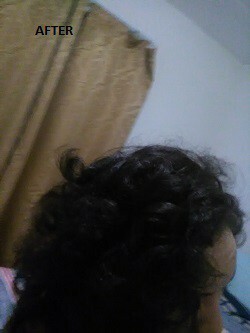 The first time I used the products I noticed a slight dryness (ignoring all other factors that might have contributed to this such as not having done a treatment for a while etc etc) and because the shampoo does have sulfates I felt that for my texture (very curly with some kinks and coils) I did need to pre-poo. I would not necessarily use weekly for my own hair but would alternate with my other hair care products depending on the look I wanted and because I feel for a richer conditioner now and again and because the shampoo has sulfate in it. > How did it compare to my usual look - the hair colour did seem to glow even after only the 3rd use - perhaps this would increase with more uses. 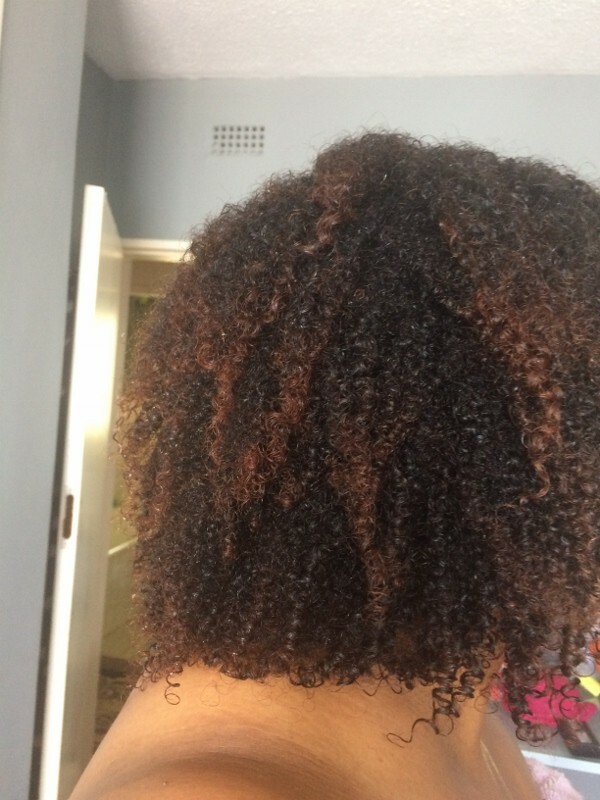 > Would I recommend these products to others - yes - especially curls, kinks and coils that are colour treated, even highlights or low lights. John Frieda has products for different colour treated hair so one would need to pick the appropriate range as the products do deposit a specific shade of colour. I would also advise them to treat the hair as per usual and just watch out for additional dryness or alternate with more moisture giving products depending on their texture requirements. John Frieda do have treatments in the same Visibly Brighter range. I personally would not use the shampoo weekly unless I was using heavy oils and butters to seal in the moisture during the week. Please also note that my hair strands are on the fine side and pick up colour easier than thicker strands - results may differ. (I think this is also why I notice some brown tone to the naturally black part of my hair - not all). Just a question from me to John Frieda - so would the hair or is the hair meant to lighten more after each wash or does it stop at a certain shade of lightness - and what if you want hair darkened as opposed to lightened? (well I suppose you would pick another hair care range from the same brand - they have a number). Thank you Beauty Bulletin and John Frieda. Who would have thought that colouring your hair is as easy as just washing it? My hair is dark, yet when it gets to shoulder length, it lightens naturally. I was due for colour touch up to hide the greys and trimming my ends by the time I was selected to review the Visibly Deeper range. Everything about the packaging says "Salon Quality" as it's THAT gorgeous. To know that I can easily get this range at my nearest Clicks, was more of a bonus than the price, which is actually quite affordable at R110 each. After the first wash, I immediately saw an improvement in the appearance and texture of my hair: softer, glossier, bouncier hair that smelled GREAT. I didn't really see much of a difference in colour, though. Wash number two took care of that. Some of my grey hairs suddenly disappeared and the dry ends looked healthy again. I upped my game at wash number three by adding the Colour Deepening Treatment, which took my hair from pretty to Va Va Voom! After a total of four washes since I started using this range, I can truly say that I am more than happy with the results. Nearly all of my greys are gone, plus my hair is much healthier than before. I really love how gorgeous this range smells. The sleek packaging is a bit deceptive in giving you the false idea that it's priced out of your league, but surprisingly it's really affordable. Products that multitask is always a high priority for me, so a shampoo that colours as it cleans...YES! Another plus for me is that the products did not burn my scalp, as with the normal box dyes I use. 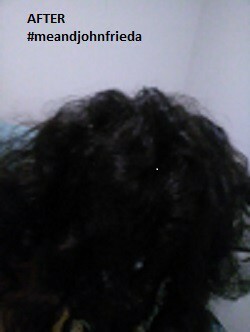 I can clearly see how healthy my hair looks. I was surprised that my nails did not stain seeing I didn't wear any gloves while using the shampoo and colour treatment. The shampoo made a lovely white foam, while I was expecting it to be darker. Because I have very long hair, I used about a tablespoon of shampoo at a time. The conditioner feels luxuriously soft and pampered my hair. The scientists who produced this range deserves a huge round of applause. Washing my hair while colouring it and pampering it at the same time is truly an amazing accomplishment. Well done, team John Frieda! #meandjohnfrieda will be having a long, successful relationship from now on. 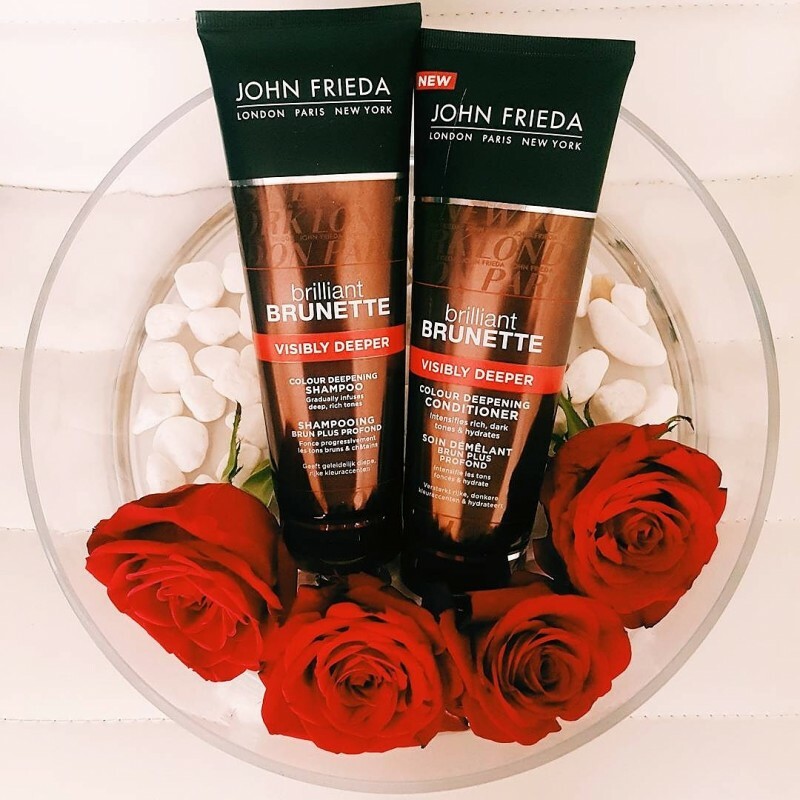 I was one of the 50 lucky ladies to be chosen by BB to review this great product called John Frieda Brilliant Brunette Shampoo and Conditioner. When I recieved the parcel I will say I was super excited because the fragrance that was emanating from the parcel was beautiful! 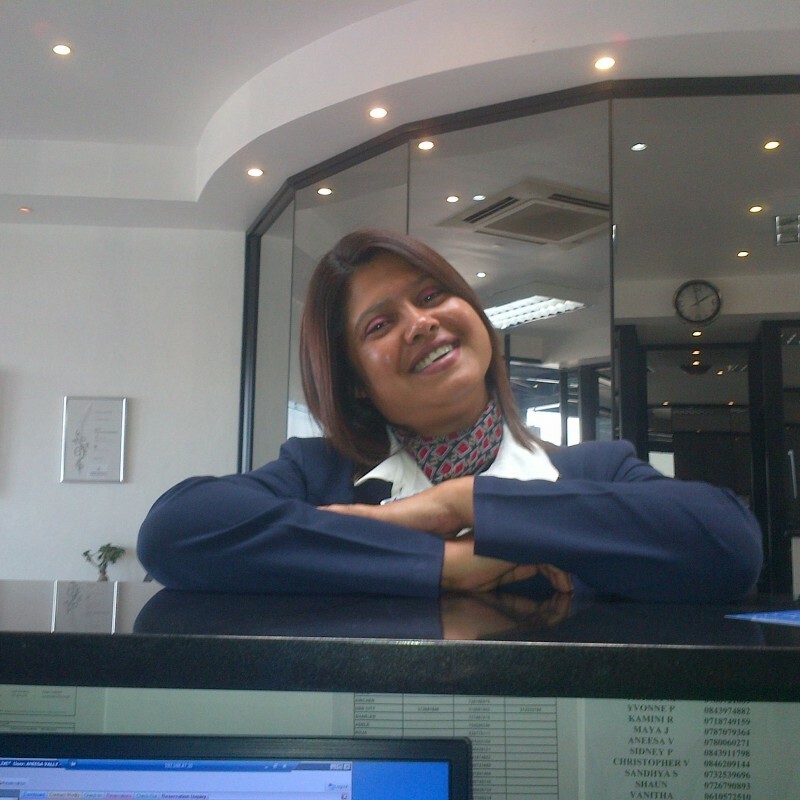 It smelt like a Queen had entered the room with a million rand perfume on her hehe. 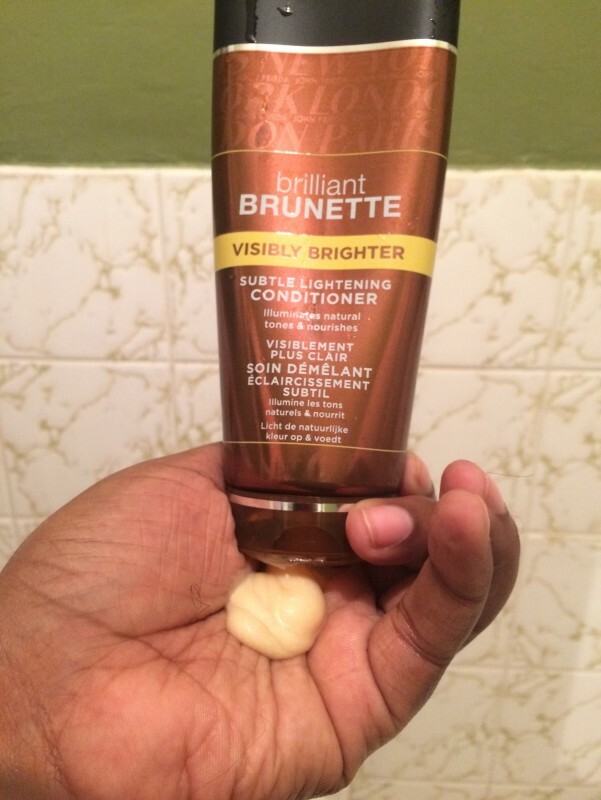 As soon as I got home I hopped into the shower and used the Brilliant Brunette on my hair. 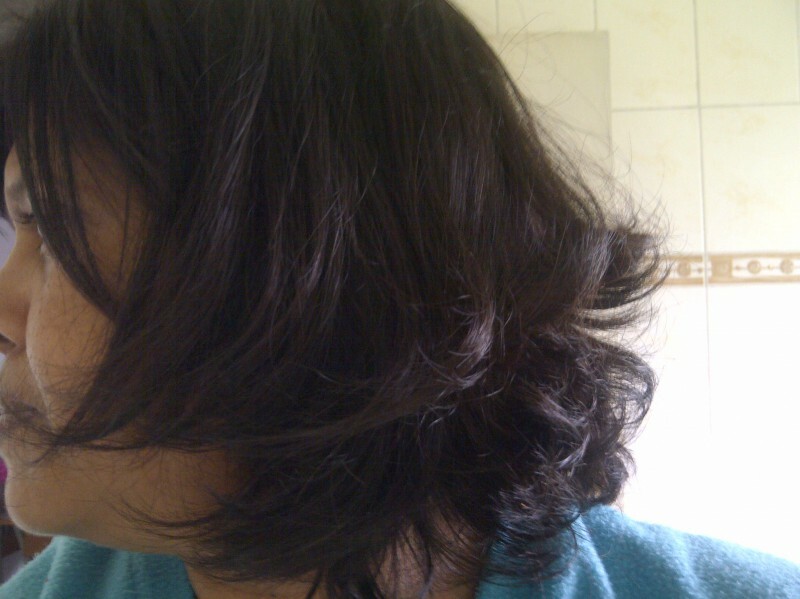 The next day my hair was quite flat and lifeless but I think I might have used too much and kinda drowned my hair. 2 days later I used it again and my hair definitely looked alot better. My hair was soft and lighter and was a bit more bouncier. My hair did start frizzing a bit later in the day. 2 days after that I washed my hair again and there was more difference than in the second Wash.
Then I washed my hair yesterday again. My hair defo looks healthier and feels great. It's still frizzes a bit later in the day. All in all this is definitely a great product. 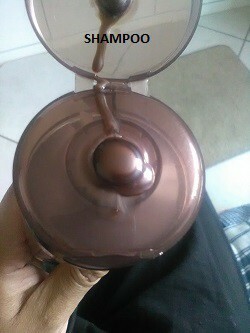 It does what it says it will do on the bottle. My hair doesn't seem to have changed in color at all but sure it will the longer I use it. I have very long thick hair and it's definitely a bit pricey for me as the bottles won't even last me a month. If the bottles were bigger and the price a bit lower I would definitely consider using it again. I'll give this product a clean 7 out of 10. 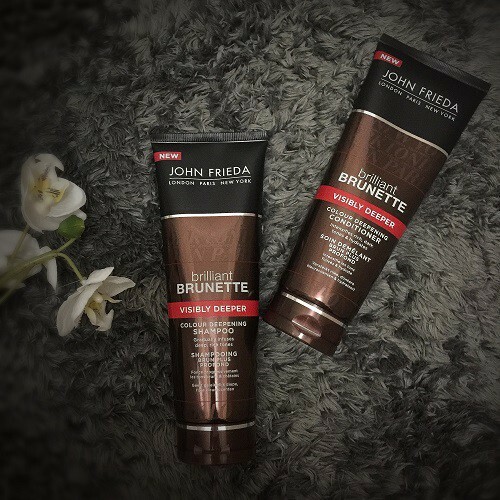 I love the fact that John Frieda came out with a range dedicated to brunette hair, because there is so many products for blondes but brunettes are expected to use just one product. It is also wonderful that the products work on colour treated hair or virgin hair. The shampoo is not your regular white colour but rather brown, and the bottle has a caution label saying to rinse your hands after using it as it might stain them. It made my hair colour deeper and richer, therefore it is a gradual build of colour and not something that will occur straight away. 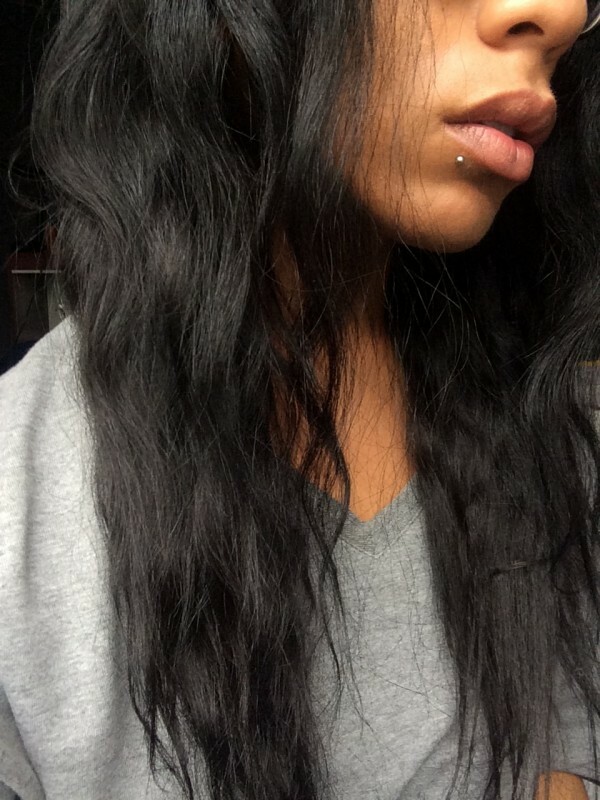 I personally think the products worked great on my hair as I have virgin hair. 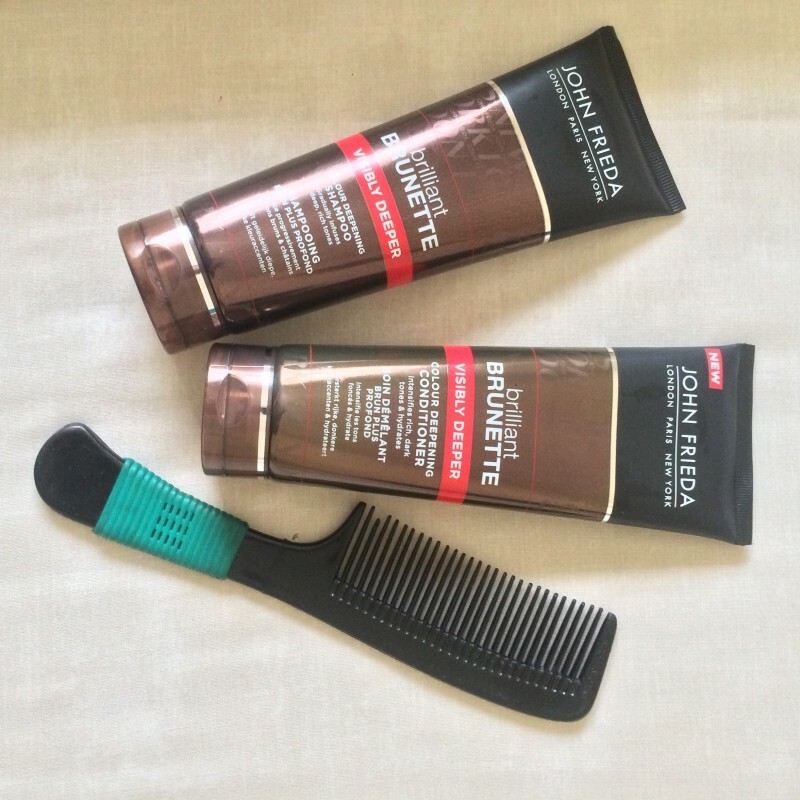 The products also left my hair’s texture feeling shiny and smooth. The product retails for R110 for the shampoo and conditioner each, it is expensive for shampoo and conditioner but it made me feel like I was getting a salon treatment at home, and in the long run you would be saving on colour treating your hair as you wouldn’t visit the salon as often as you usually do. 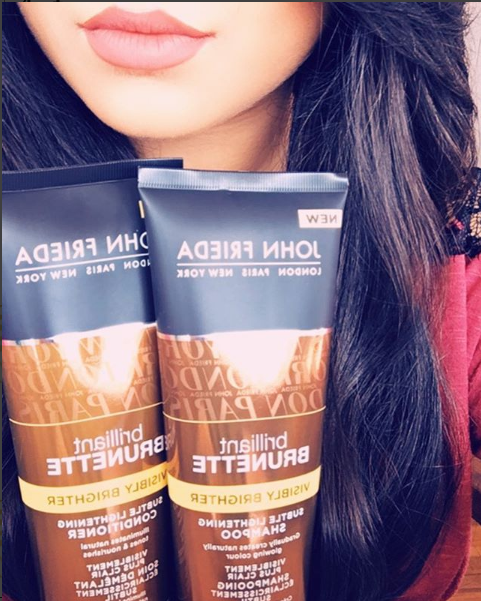 I definitely would recommend it to people who want to maintain their brunette colour or darken their brunette colour and I would purchase the products again, I feel it is worth it for the money you pay. Welcome to my first ever review! I'm popping my cherry with this John Frieda Brilliantly longwinded shampoo and conditioner. Luckily using it was simpler than trying to say it . The product had me at it's packaging! It looks super sleek and professional. The smell is enough to send any woman well on her way to munching copious amounts of chocolate... so I've heard . Pretty much your standard shampoo and conditioner routine, lather, rinse , repeat. Except i did get a slight tingling feeling on my scalp; must mean it's working. Queue 7 days later ( 4 washes ) and Voila! You have what the bottle promises: a shade or two darker of your natural hair, with glossier locks that come with a complimentary frizz. In all fairness, I could attribute this to the fact that I personally don't put conditioner on my roots as it encourages dandruff. Definitely consider using the treatment that comes part of the same range. This product is great for those who can't handle commitment ( of any kind) and like to leave their hair in their own hands. I know if a few people who have had some pretty scarring hair salon visits and would be thrilled to have this product; plus you save more! As for myself, I will finish using the bottles because I like free stuff and because I still want my hair a bit darker, like my sense of humor. 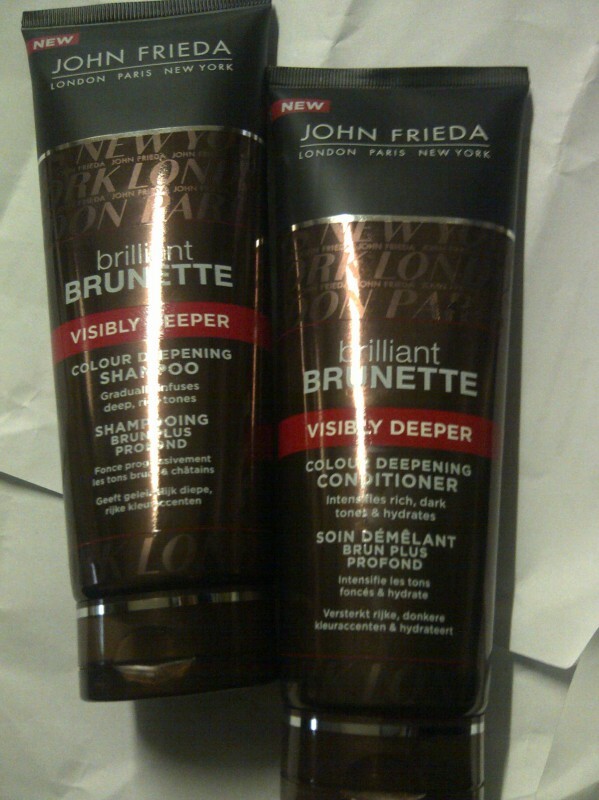 I received the John Frieda Brilliant Brunette visibly deeper shampoo and conditioner about two weeks ago . When I receieved it i was impressed with the packaging, felt luxurious, it had a black matte finish at the top and a shimmery bronze look at the bottom. It smells like flowers , I have never used any products from the John Frieda line so this is a first for me. Overall packaging is pretty! I only got three washes out so far since i received it , so far the results are fairly good. After the first wash i didnt see much difference the only thing i noticed was how soft my hair was.. i used about a tablespoon of shampoo because i have long thick hair and i used about a teaspoon of conditioner ..I do feel alittle goes a long way with the shampoo, the shampoo makes alot of foam so if you have thin hair u only need a tiny bit. 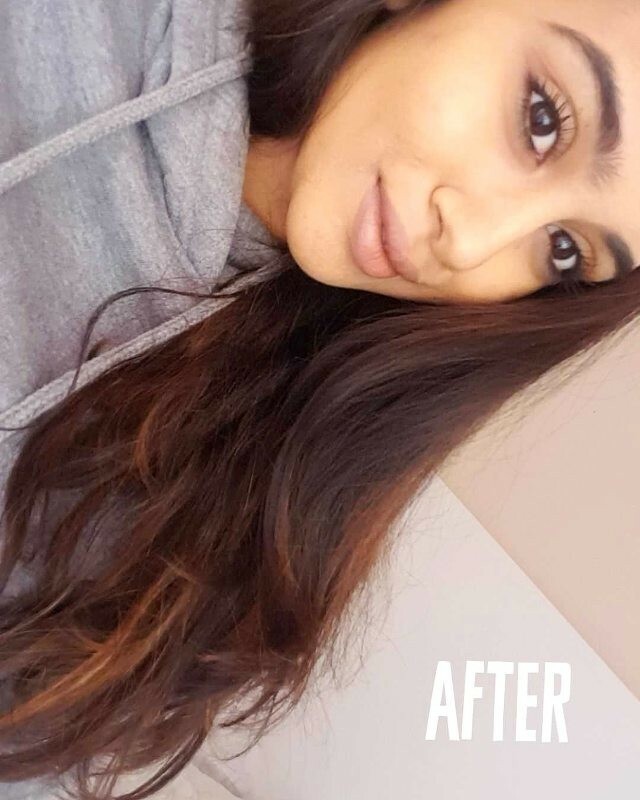 I washed my hair the second time and i could see some difference , my hair looked darker in colour and richer which was the main benefit of this product. I would say this product would differ for every person. 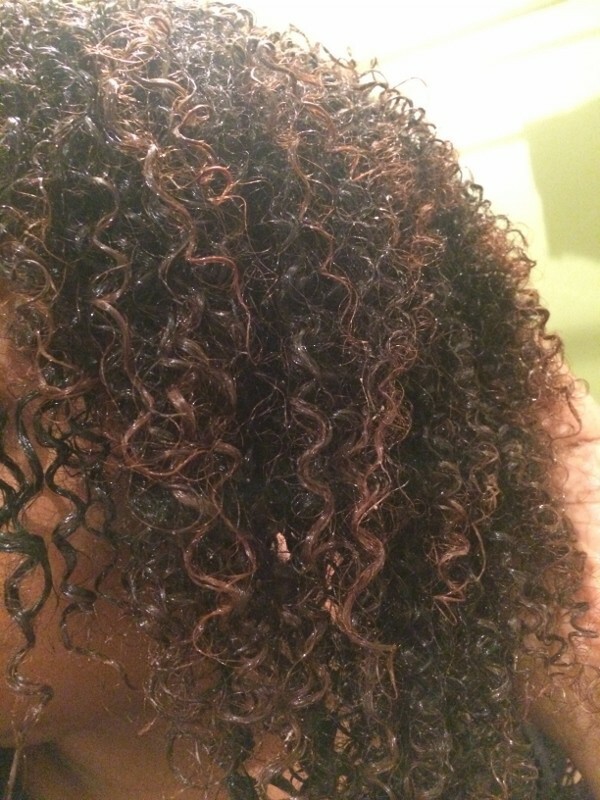 Personally for me it did make my hair darker however my hair did feel dry before and after blowing out , it could just be because I have really curly hair naturally..i dont know but i did use a heat protectant before blowing. I felt i didnt have alot of moisture in my hair so I reached for my Argan oil to finish the look. I wish I had used this product for longer to give a full on review on it, I have only had 3 washes out so far so I feel its too early to say what the benefits are but I will use it finish and do a part 2 review and give my final opinion but for right now im still trying it out. So far I can tell you that it DOES give you a deeper tone to your hair , it makes your hair soft and it smells good too. These do retail for R110 each so If you love indulging and you are a quality over quantity kind of girl then this you would totally go for. If you are someone that is frugal then this wont wont be something you will reach for. I will recommend this duo to woman that has dull hair that wants a vibrant deeper natural colour tint to their hair the this you should definately try. You would save money in going to a salon to do touch ups to your hair, I feel this does make your hair look richer and darker. I would replace my normal conditioner with this colour depositing treatment. 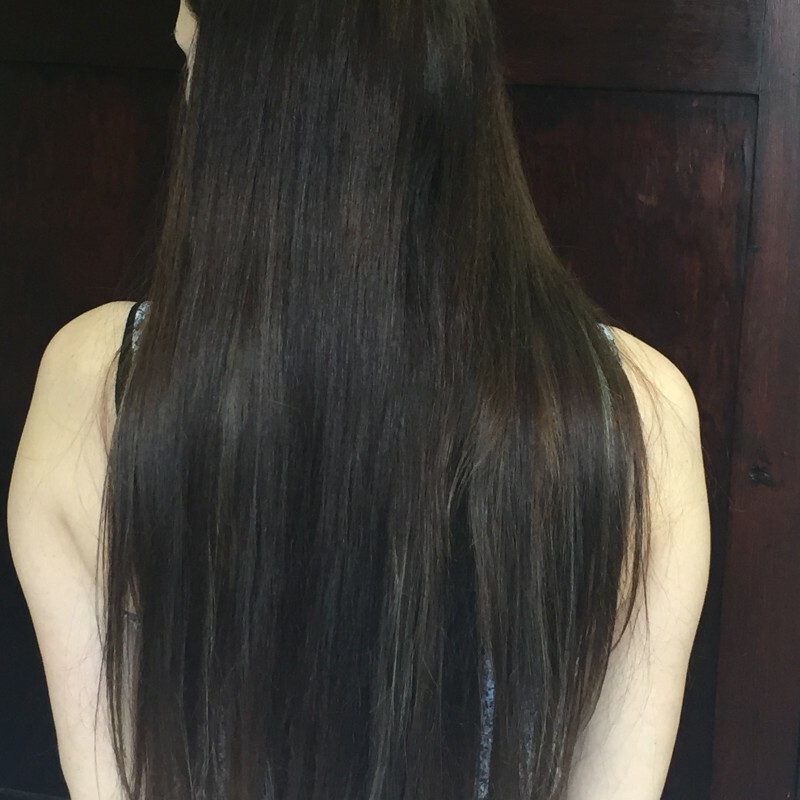 The unique blend of cool tones and hair smoothing technology even out faded colour, and leaves my hair looking deeper, darker, richer and highly reflective. 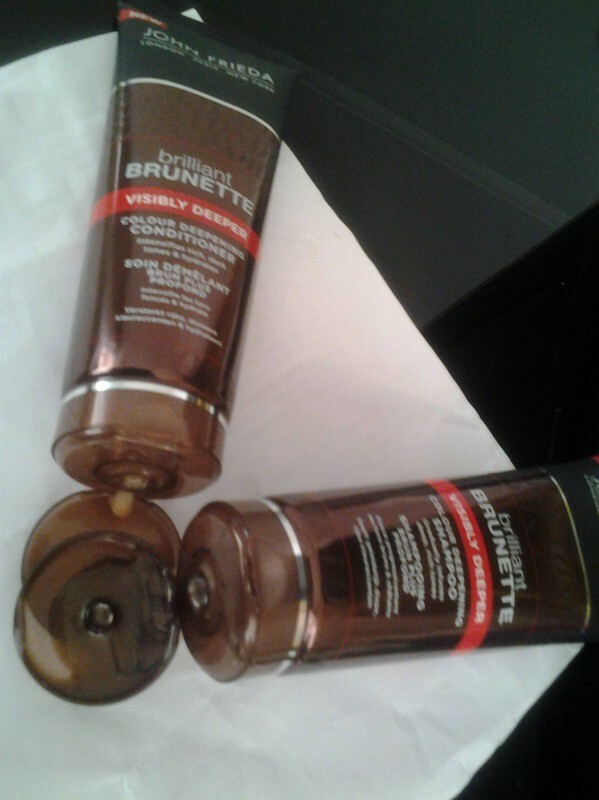 TO get the full affect start with Brilliant Brunette Visibly Deeper Colour Deepening Shampoo. I leave it on for 5mins before rinsing. Then massage a generous amount if needed of the conditioner evenly through the lengths of your wet hair, comb through, leaving on for 5 minutes, and then rinse well. For deeper colour, leave on for up to 10 minutes before rinsing. You will def see a difference if you use this consistantly. When your hair feels and looks good you feel good too, so say goodbye to the bad hair days and Hello to good hair days. 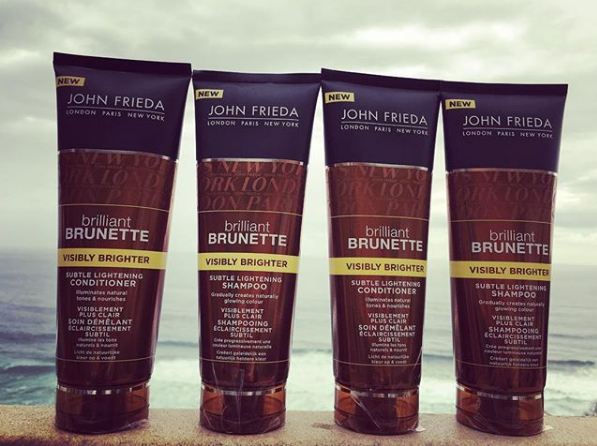 The perfect time for the launch of the new John Frieda Visibly Deeper Brunette range, great for these Summer days ahead. 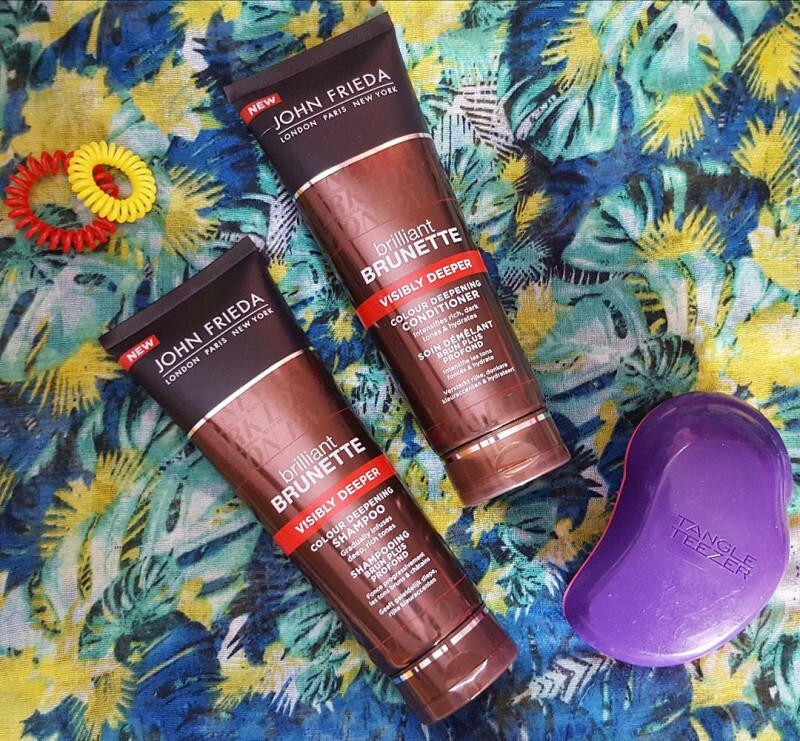 To intensify your brunette tones it keeps my hair colour deep and bold and always feeling hydrated during this dry weather, the John Frieda Visibly Deeper range contains cocoa and evening primrose to deepen the spectrum of your brunette tones. 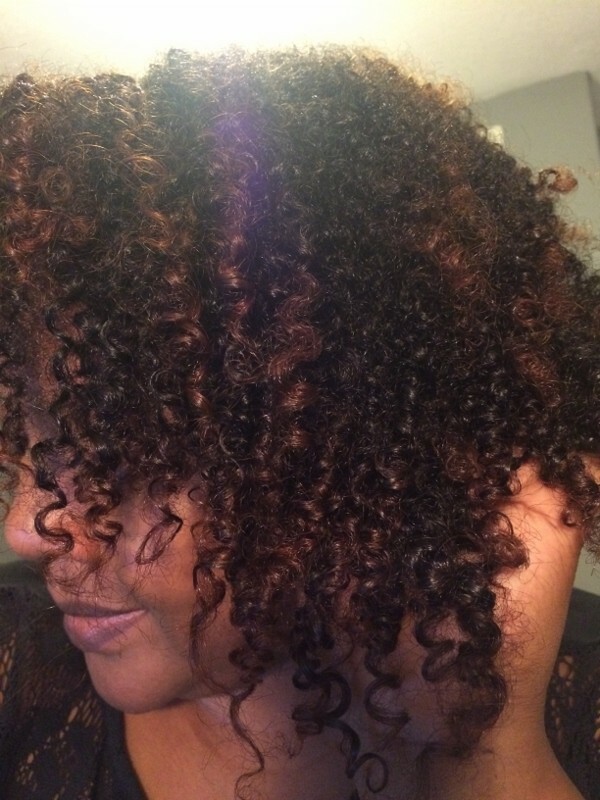 The range is for both natural and Color treated hair. Me and John Frieda my journey to deeper brunette tones, I have natural brown medium to dark brown hair which naturally has a few different shades in. But recently before I started use the John Frieda my hair was feeling dry and flat just did not feel like it use to before, as the weather changes so does your hair environmental damage is just as harsh on your hair as overuse of products or styling. My first day went so well I could immediately feel and see a difference in my hair it felt smooth and softer meaning it was hydrated I could not help myself with all the selfies. 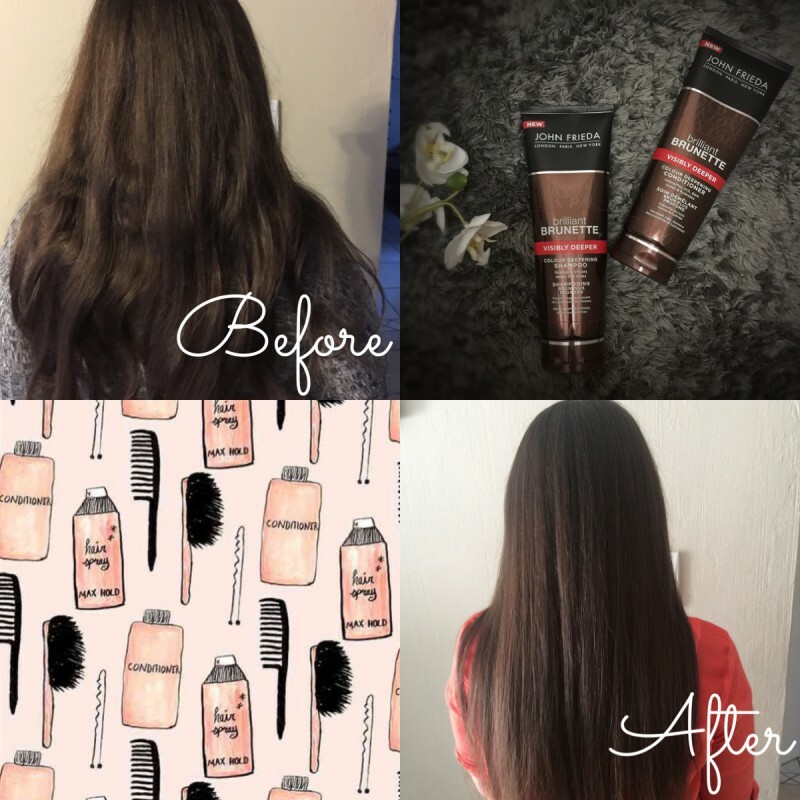 I’ve always used and loved John Frieda products they are affordable budget friendly and have amazing results on your hair so I didn’t think I would have been disappointed anyway. My first wash one thing I noticed was the colour and texture of both products you can see the intense colour of the cocoa in the shampoo and conditioner it’s a dark brown which is really unique, I felt that my hair was much easier to brush my wet hair after washing no tangles or knots. 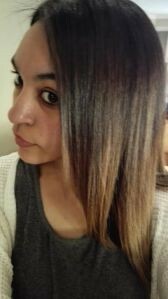 A few more washes later still loving my hair how it looks how it feels can’t get any better that, allow yourself to embrace your brunette tones and enjoy your hair I know am this December. I will admit I was thinking about changing up my hair but that’s gone I love my brunette hair. Gone away are my little fly away hairs they are no longer an issue for me mainly because my hair feels hydrated and moisturized. 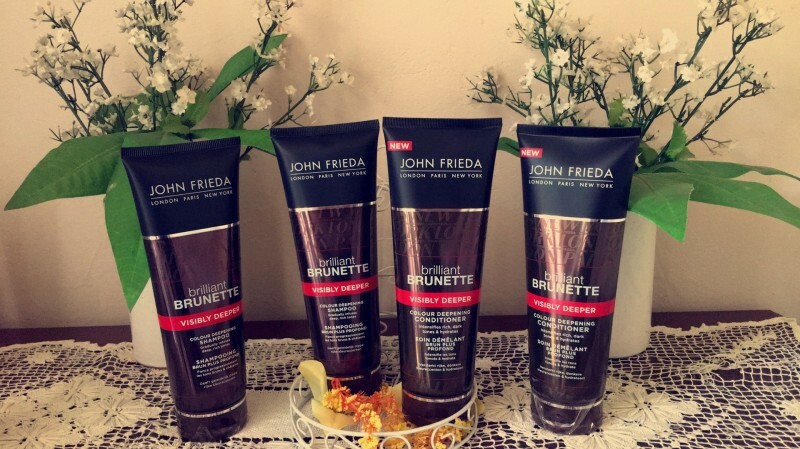 The John Frieda Brilliant Brunette Visibly Deeper range comes with a Shampoo, Conditioner (R110) and The Visibly Deeper Treatment product (R150) and prices range from R110 - R150, Find John Frieda products at Clicks stores nationwide. I would definitely be restocking up December 2016 they are well worth their value for money. This is seriously an amazing product. I am a natural brunette, however I have previously dyed my hair black (about 3 months ago). I had a red'ish tone coming through my hair. After my first use of this product, I could notice the red tones dying out, and had more of a deep brown colour. The shampoo is great, and gives a really good clean wash (I usually do 2x washes with my regular shampoo, however just done one wash with the John Frieda). The conditioner however, is my absolute favourite !! I think this is more than just a colour intensifying product, as the conditioner is one of the best I have ever used (and trust me, I have tried almost everything on the shelf lol). 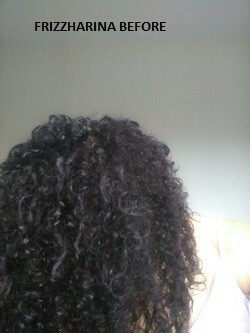 It gave my hair so much life and volume as well. I have used the product a total of 5 times so far, and can really say that it has improved my hair texture - it is visibly smoother, with so much more volume. I would highly recommend this product, not only those who would like to deepen their hair tones, but to anyone looking for a great shampoo and conditioner to improve their hair texture and look. If I do however buy again, I would more than likely purchase the conditioner alone, as this was my favourite out of the two. Thanks BB for allowing me to test this wonderful product !!!!!! So wowed by these products! I won't lie, I was quite sceptical when I received these products. I thought to myself - how can a shampoo and conditioner really make a difference to the colour of my hair, unless it has a fair amount of dye in it? I was even more sceptical when I opened up the tubes to see the product that was inside - while the shampoo was a deep, dark brown, it definitely didn't lather up to be a dark foam, and the conditioner was a sort of caramel colour. Could these products add depth and colour to my hair at all? While the conditioner has a pretty standard hair-product smell (one that you can't quite pin down to anything, but smells nice and clean and nourishing), the shampoo smells like chocolate oranges! Using them was such a treat, as they felt pretty luxurious to use. I've used my shampoo and conditioner about 3-4 times now and I am so so impressed with them. 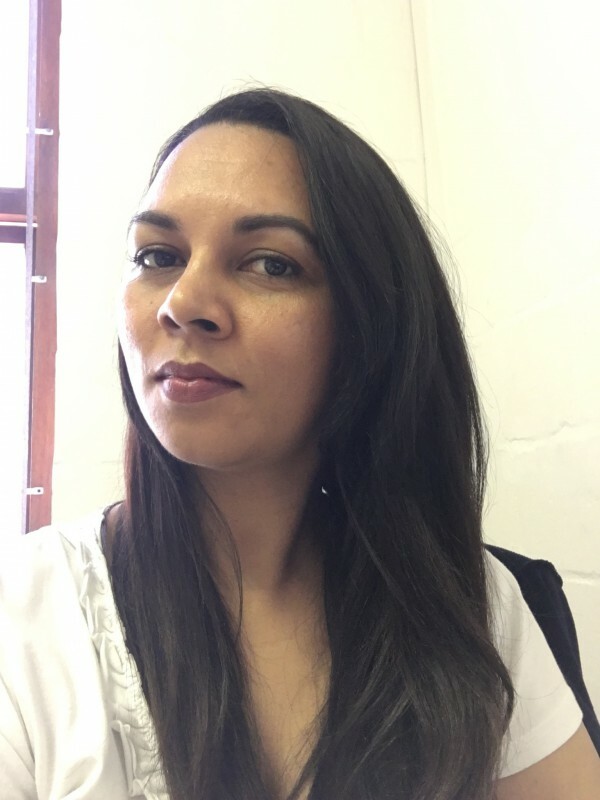 My fine hair that goes flat very quickly doesn't get weighed down by the products, even though they seem so rich and moisturising on application, and my hair has been feeling soft and manageable, and looking glossy and rich in colour. 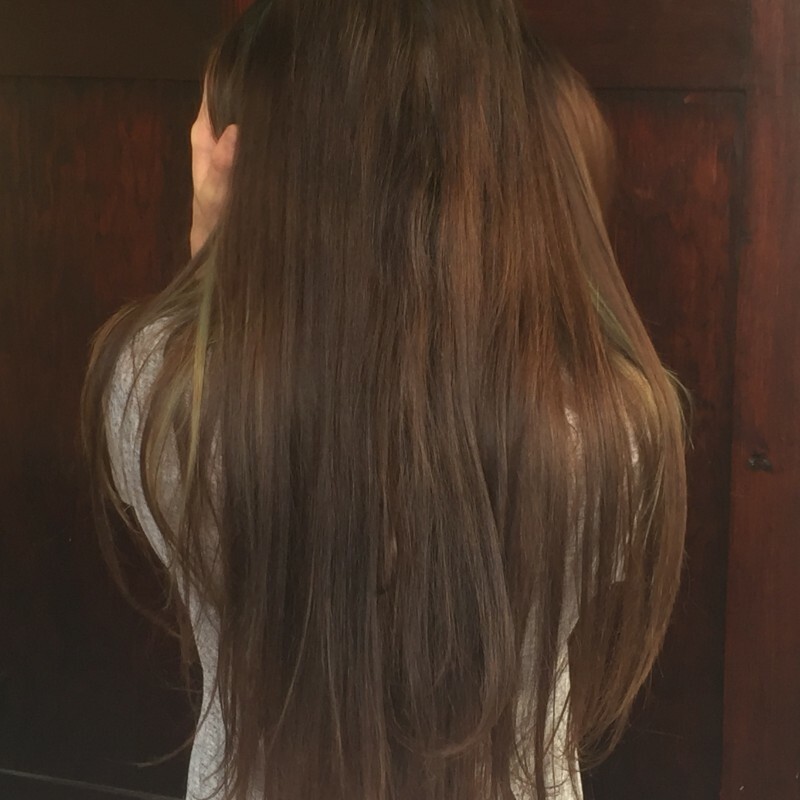 I've been battling with my colour fading quite fast at the moment - I highlighted my hair to a fairly pale blonde for about 7 or so years, and at the end of July I bit the bullet and went dark. 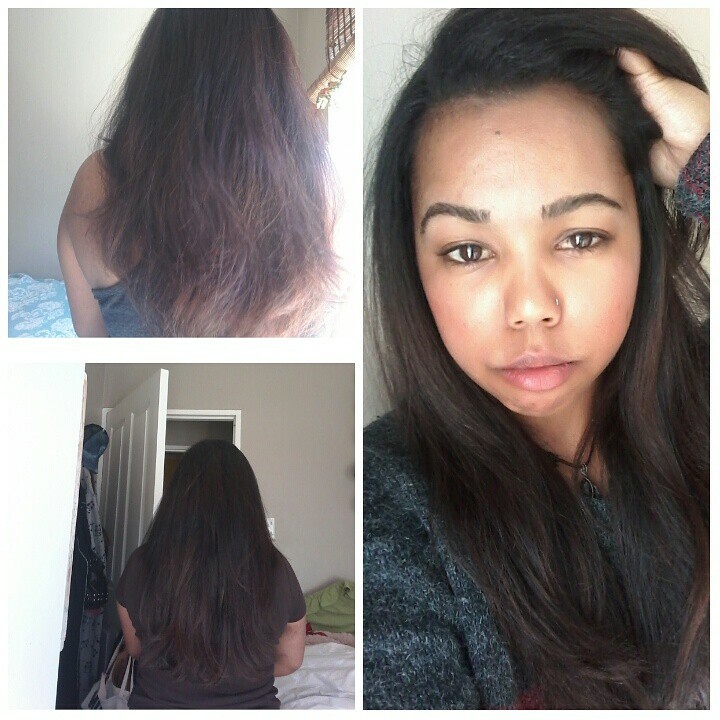 My natural hair colour is a mid-brown, and I wanted so much to get my hair back to a healthier state. The previous highlights in my hair, that the newer colour is covering, mean that my hair won't cling to a darker colour as well yet. After only 2 uses of the John Frieda Visibly Deeper shampoo and conditioner, one of my work colleagues (who sees me every day from Monday-Friday) asked if I'd popped into the hair dresser to get my colour touched up. I had not been in about 4 weeks! She honestly thought my hair looked darker. Since then I've been keeping a close eye on it, and while my hair isn't quite as dark as it would be if I'd been to my hair dresser, it is in fact darker than when I first started. Unfortunately I didn't think to take a before photo of my hair (#blonde), but my hair is now looking pretty darned good. 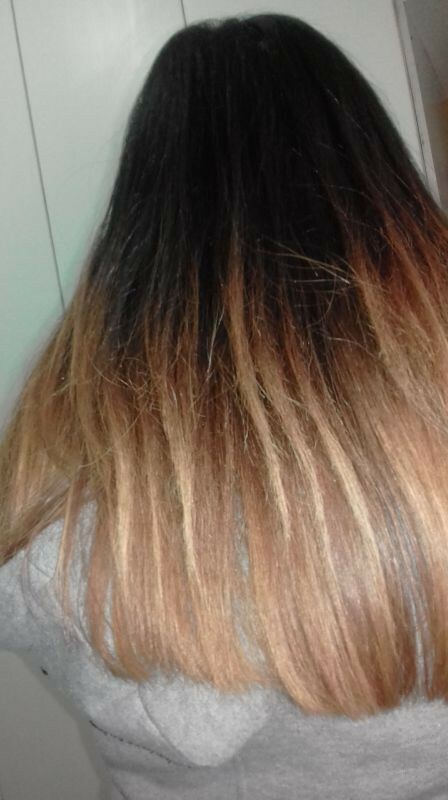 My colour was at the point where you could see a difference between my hair closer to my scalp (darker, as this hair has had less bleaching underneath the darker colour), and the hair on the ends of my hair (much lighter and looking slightly dull due to so many years of abuse). Now that I've given my hair a good week of use, the difference between my roots and ends is looking much less obvious. This product is fantastic for maintaining colour in between salon visits and for treating your coloured hair to prevent the fading that usually happens. I will most definitely be repurchasing this line, as it's nice to find a range that will really make a difference in keeping your colour looking rich and glossy and shiny, especially when it's affordable! I'll also definitely be recommending this to other friends who have darker hair. 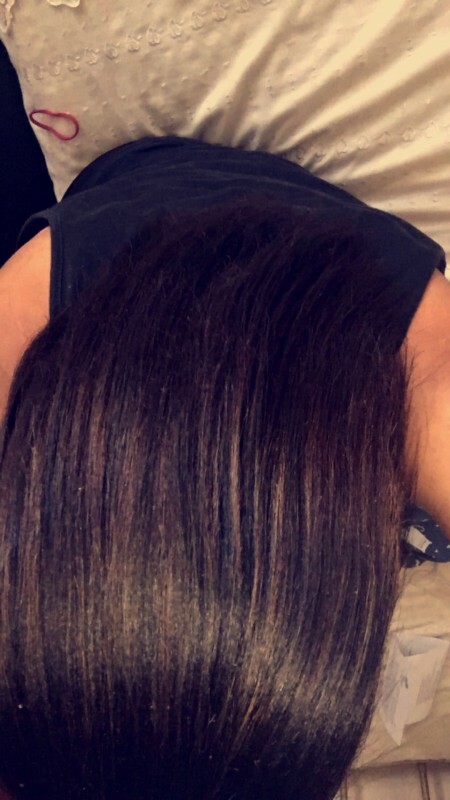 Love how the product made my hair feel soft and smooth and definitely illuminated the deep burgundy tones in my hair. 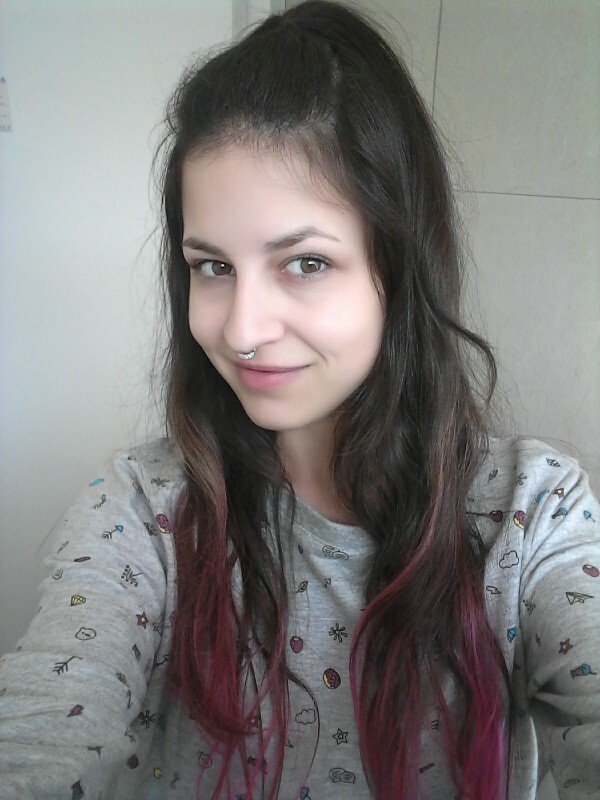 I used to change my hair colour quiet often however I havent in just over a year now. Salon quality at an affordable price! 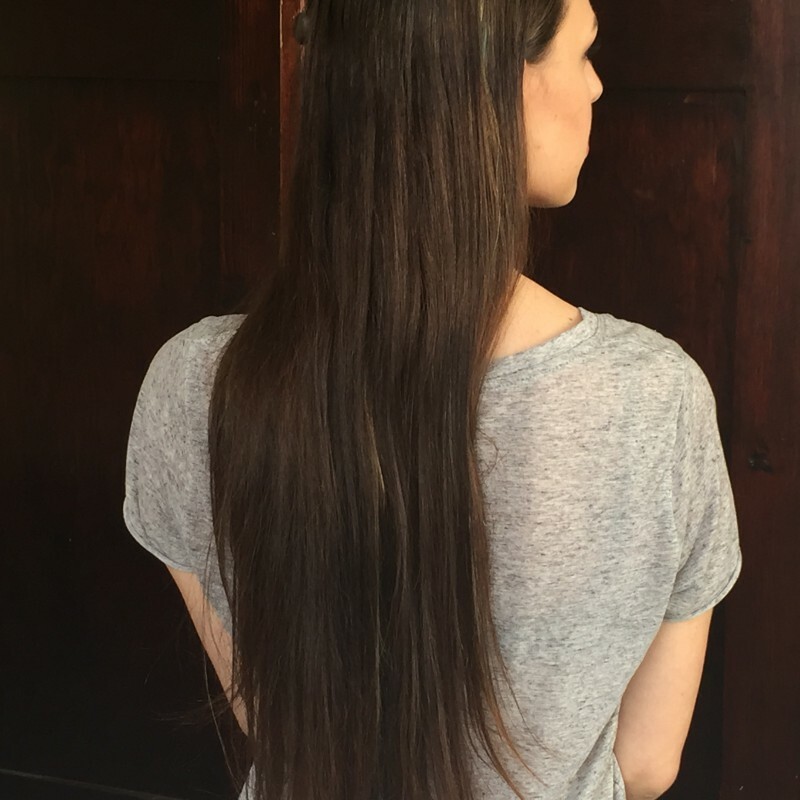 As someone who has been dyeing her hair darker for years, I was enthusiastic about trying products that claim to darken hair without the addition of harsh chemicals. Personally, I prefer myself with darker hair, but I often find that my dye jobs fade before I'd like them to - and I was looking for a way to prolong my gorgeous colour! The Brilliant Brunette Visibly Deeper shampoo claims to "gradually infuse deep, rich tones" and the conditioner "intensifies rich, dark tones & hydrates" (natural AND colour-treated hair). Just looking at the actual liquids/creams, I can believe this claim. The shampoo is a rich, shiny chocolate colour whilst the conditioner is a soft wooden brown. Both items smell amazing, thanks to the cocoa & evening primrose oil used in the formulas. 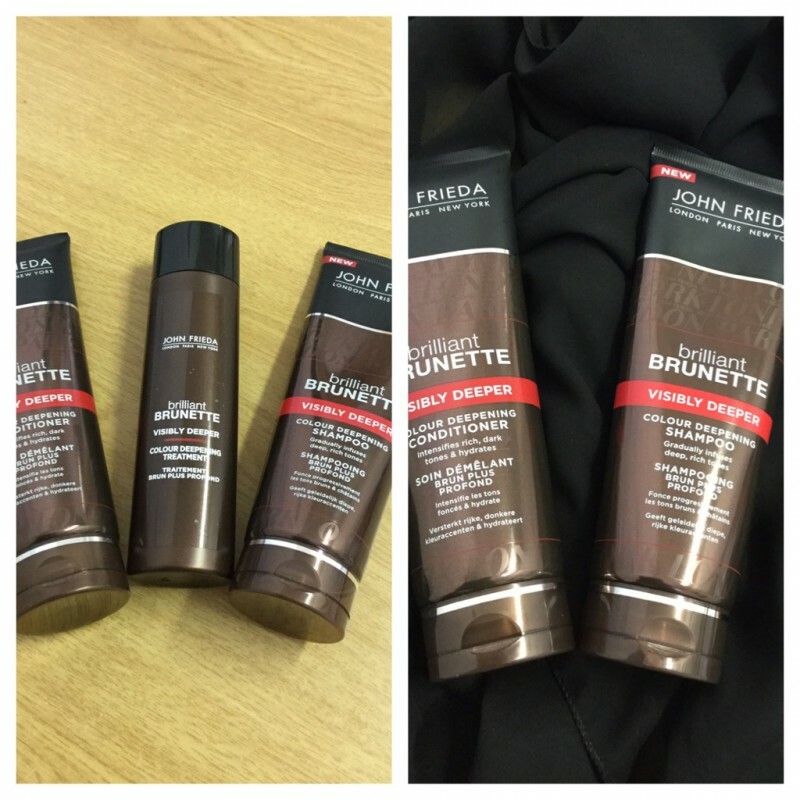 John Frieda's packaging is ALWAYS stunning and these products are no different. They both come in a toothpaste tube-like bottle, which has a minimalist yet effective design. The coppery-chocolate brown colour on the tube certainly reflects what the products do. The simple logo and writing keep the look clean, whilst a pop of red attracts the eye. Personally, based on looks alone, I'd purchase these products. It's human nature to be attracted to "pretty" things and this is no different. 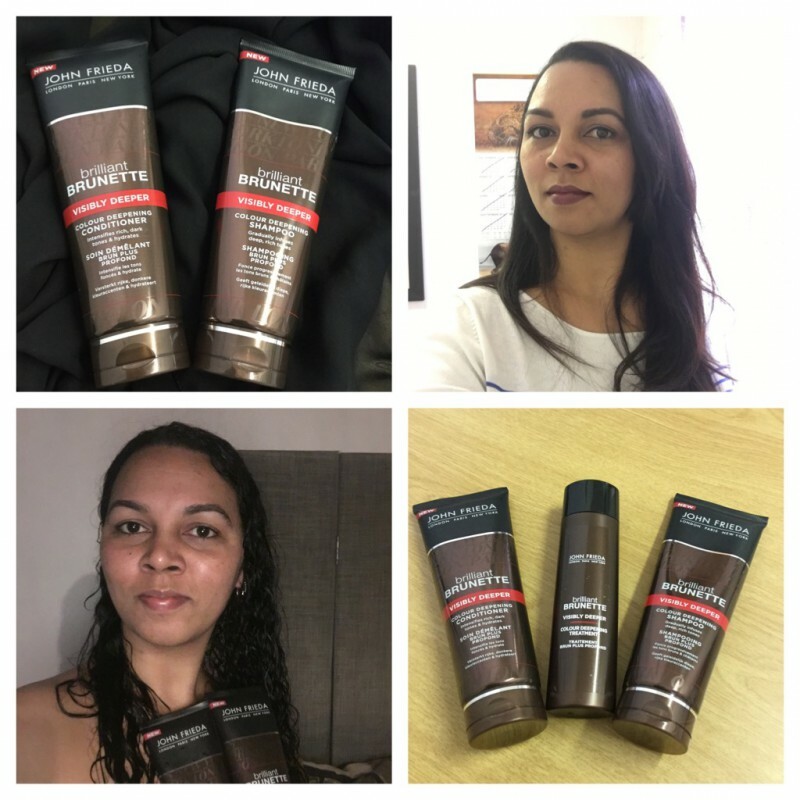 The Brilliant Brunette range retails at R110.00 for 250ml and is available at Clicks, Dischem and various hair care stores. Wednesday - Wash 1: Truth be told, I was not expecting much after one wash but was pleasantly surprised to find a slight difference already (this stuff is GREAT). I noticed that my roots were slightly darker. Some of my lighter strands of hair had "disappeared", or rather darkened and blended in with my other hair. My hair was tangle-free after washing it, which is a first! After drying & straightening it, my hair was SO smooth. Like a hot knife going through butter - weird analogy, but it's the only one I saw fitting! Friday - Wash 2: Other people have started to notice a slight difference in my hair colour. 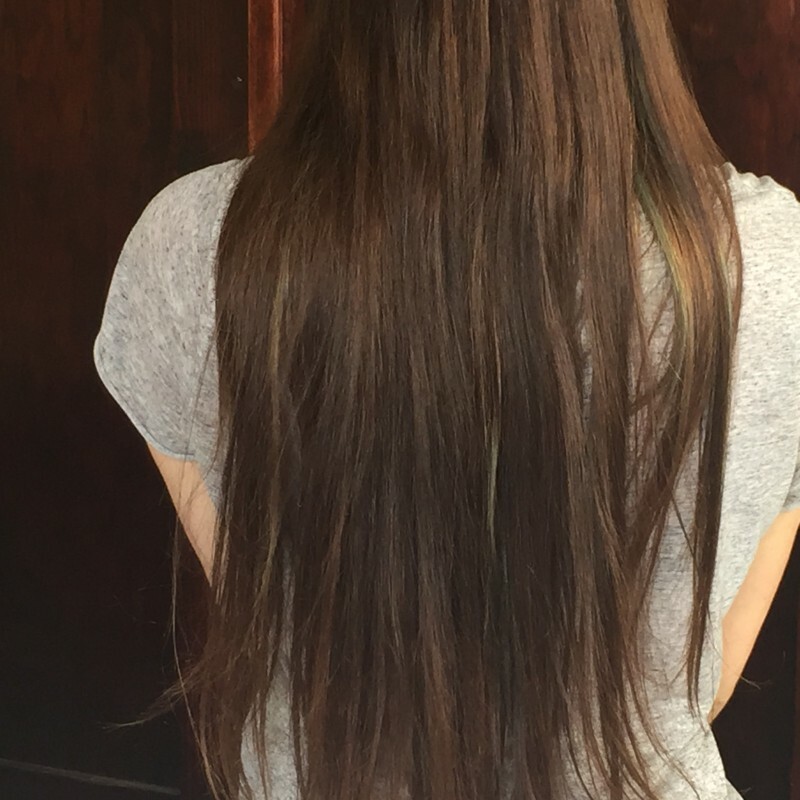 I was asked by two of my friends if I had dyed my hair, which felt great! My hair looks healthier thanks to the new vibrancy and my confidence has increased TENFOLD. Sunday - Wash 3: I've noticed that my hair has just taken to this product really well. I know many people who don't think it's possible to lighten or darken your hair colour without dye, but John Frieda has clearly proved them wrong! My hair is definitely darker and most definitely looking more vibrant. 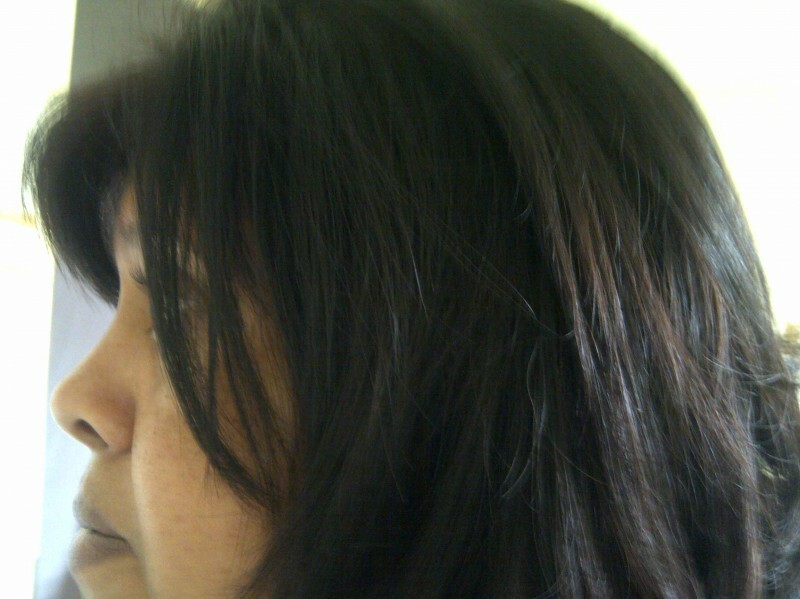 Overall, my hair feels silky smooth after using the products, and is certainly more manageable. 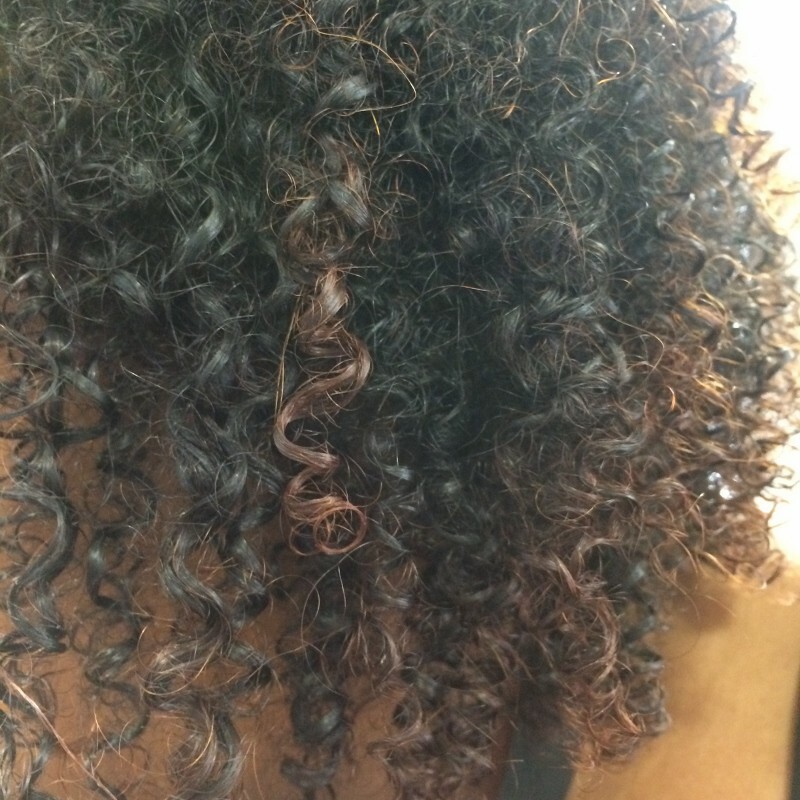 Curly hair obviously comes with the territory of tangles and knots, but those two pains have certainly decreased since using the Visibly Deeper products. 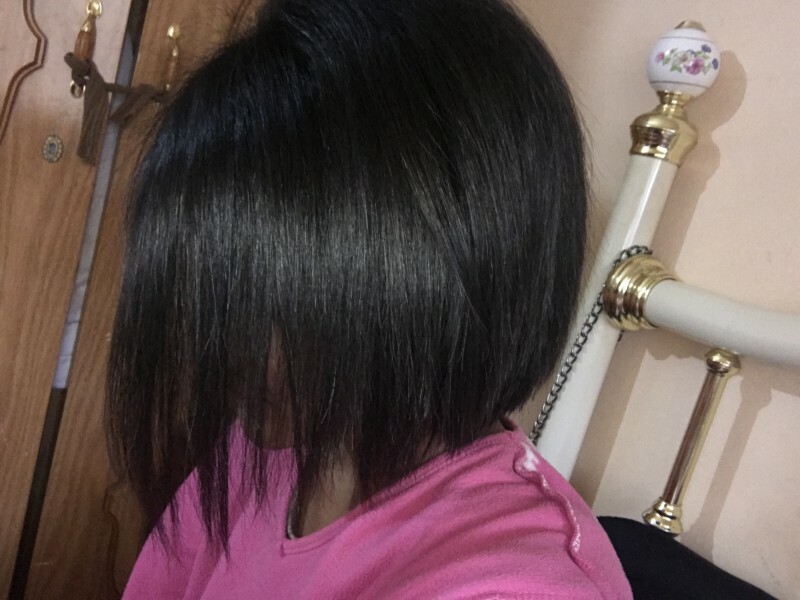 I have also noticed that my hair feels a lot cleaner and I could have gone an extra day or two without washing my hair - because on the days I washed my hair, it wasn't greasy or oily at all. My hair looks darker, which I am THRILLED about! I didn't think it was possible to darken my hair without dyeing it, but I have been proven wrong. In the past months, my hair was lighter due to sun exposure, and the Brilliant Brunette range has deepened the colour to my liking. 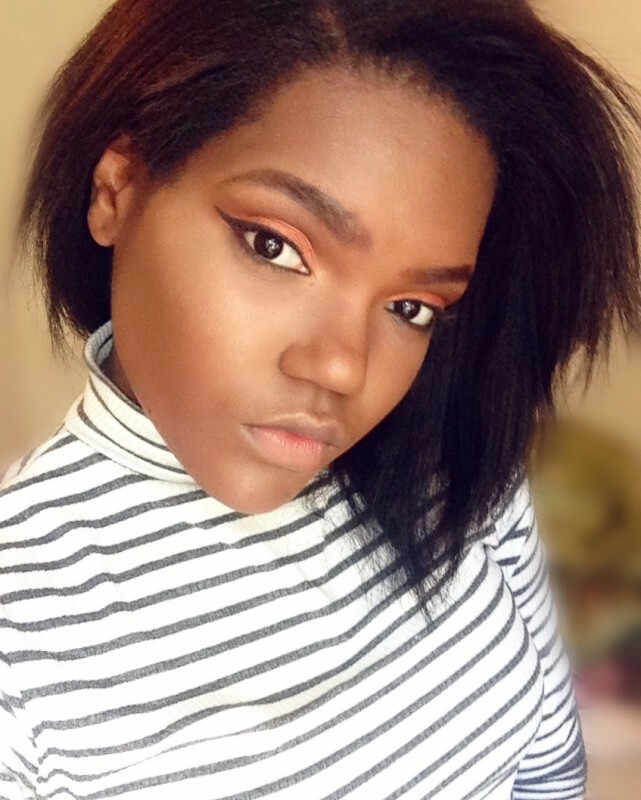 Compared to the lighter shade of brown I had, I love this dark chocolate tone way more! I would definitely purchase these products again because the results they have shown are incredible. In fact, as soon as I'm out of these products, I'll be running to the store to buy more. If you are yet to try them, I highly recommend you do. Not are they only great quality products, but value for money too! 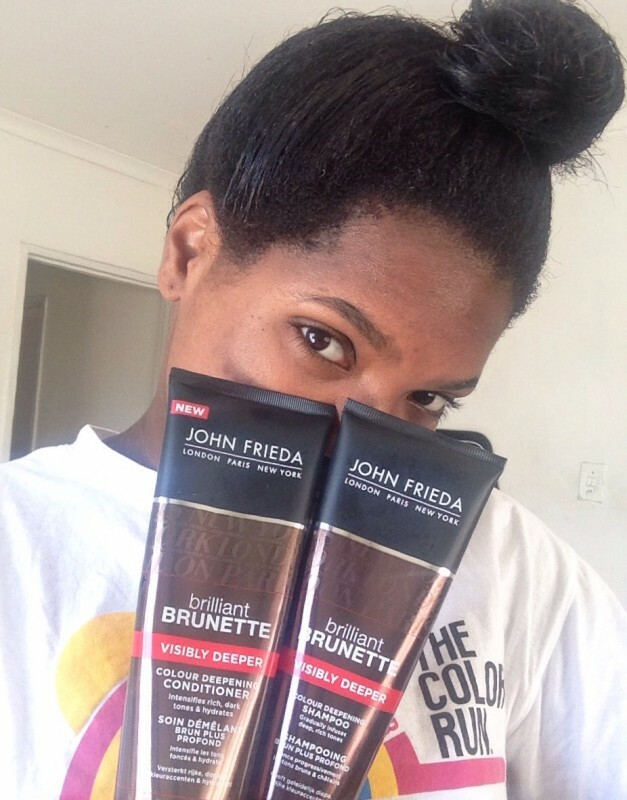 I'm in love with John Frieda and can't stop telling my friends about the Visibly Deeper pair. Fingers crossed that they go out and buy the products! My hair is much softer it's a much more manageable the colour has intensified immensely previously to my colour that I had before,although I'm a brunette it highlighted the colour that I previously had which made my hair very shiny and added different Browns to it ,I shampooed and conditioned my hair twice in a week because I usually wash my hair 2 to 3 times in the week .The usual look of my hair is quite rough and corse I'm not going to lie but my hair did look a lot more damaged prior to me using the john frieda products probably because I wasn't using anything else,I had split ends & made my hair look as if it was rough. The Shampoo and conditioner basically coated my here giving it an all round salon look as if I just used a great treatment on it I would definitely recommend this product to women that have colour in the hair as well as women have just natural brown hair because it's taken me awhile to love my natural brown hair and be comfortable in my own colour I would definitely purchase this in fact I don't see why I shouldn't because it's a amazing product that not only just cleans your hair but it also coats your hair in terms of if you have damaged hair the shampoo coats your hair making it look like your hair is much more healthier and better looking and all-round shine & bounce it's much more sleek it's much more richer looking, I would say that the shampoo and conditioner is definitely a value for money for good looking hair it could cost an arm and a leg i am pretty pleased with my hair I've had many compliments aswell & im telling all my girlfriends about it! I am a brunette, always chasing a deeper tone than the one I just had. 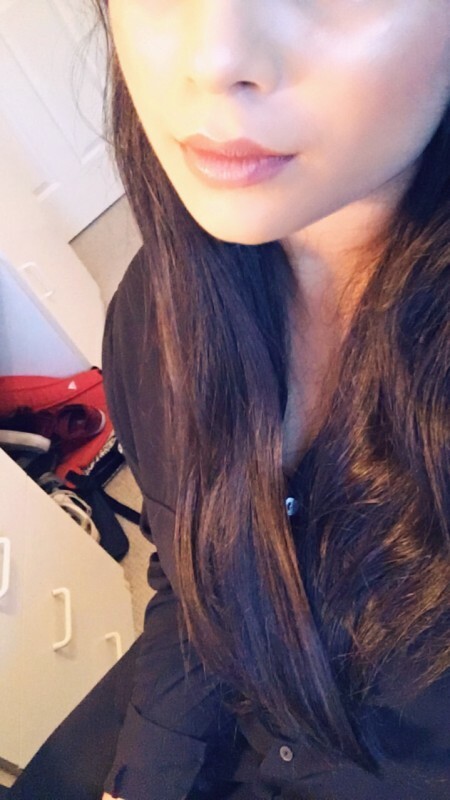 After almost 10 years of dying my hair, I have been searching for a shampoo & conditioner that has assisted me with more than just treating my hair, but also helping my colour - because a week or two after I have my hair coloured, I feel my brunette vibrant colour slowly starts to fade! I received the products and immediately hopped into the shower that night! I was amazed as to how a little goes a long way. The shampoo was brown which was cool (never had brown shampoo before), and it smelt like chocolate! Now, this is great because I have given up sugar recently & now all I needed was my hair when I had that craving for some chocolate! - To be honest, the first time I used the shampoo was great, as well as the second. However, now after using it for a week - I feel my hair is a bit more oily than it usually is. I think that this shampoo is great for women who suffer from dehydrated or damaged hair. Other than that, I LOVED it. LOVE LOVE LOVE it! The conditioner just put that gloss over that I always love! And it smells as great as the shampoo. My hair feels softer and smells devine. 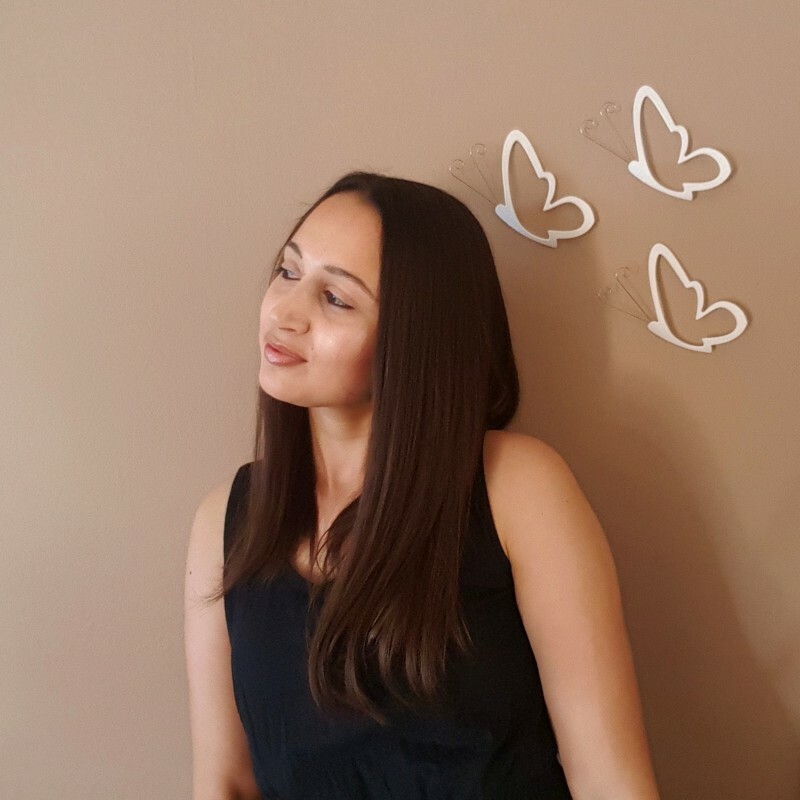 I have thick, wavy hair which is extremely unmanageable but with John Frieda it's easier to wear in different styles and much easier to straighten. I have used the shampoo and conditioner twice already and don't think I am switching to any other brand that's how confident I am in John Frieda. 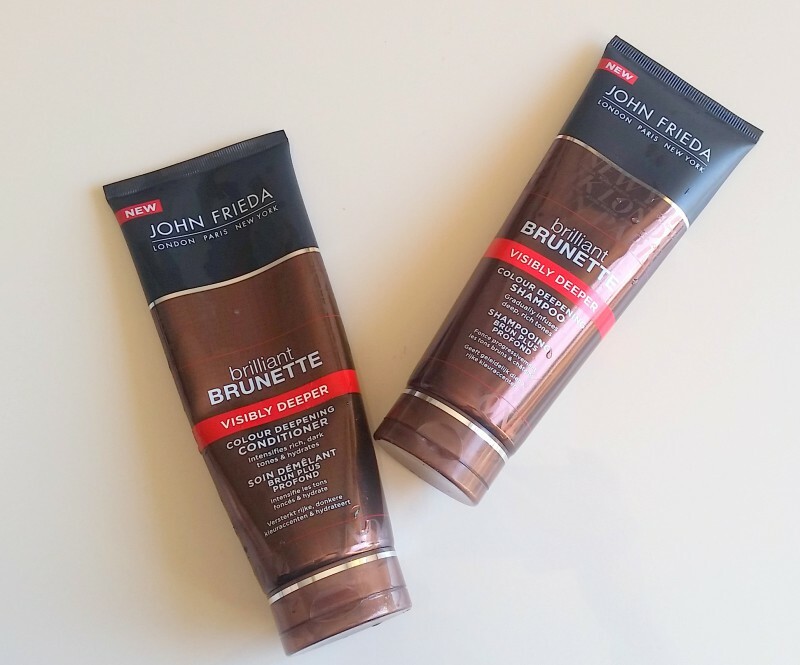 The packaging is stunning and a fair size because with John Frieda, a little goes a long way compared to other brands. I was a little taken aback by the colour...The shampoo is a dark brown and the conditioner is cream. I simply love it. 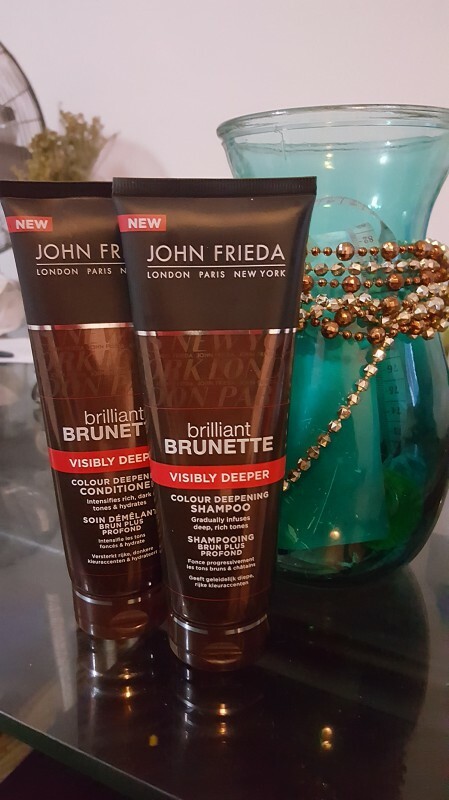 Once my supply is finished, I will definitely be buying some more and will stand by my conviction and recommend John Frieda Brilliant Brunette Visibly Deeper to every brunette. I could hardly contain myself when I heard I was chosen for a "John Frieda" review. I received my parcel quit fast and I could not wait to get home and try it for myself. The whole courier bag smelt devine. Both the shampoo and the conditioner is in a awesome package and the colour will make it easy to find on a shelve. The conditioner is the same dark brown shimmering colour and the same glorious smell, but for me - only my opion - not rich enough. 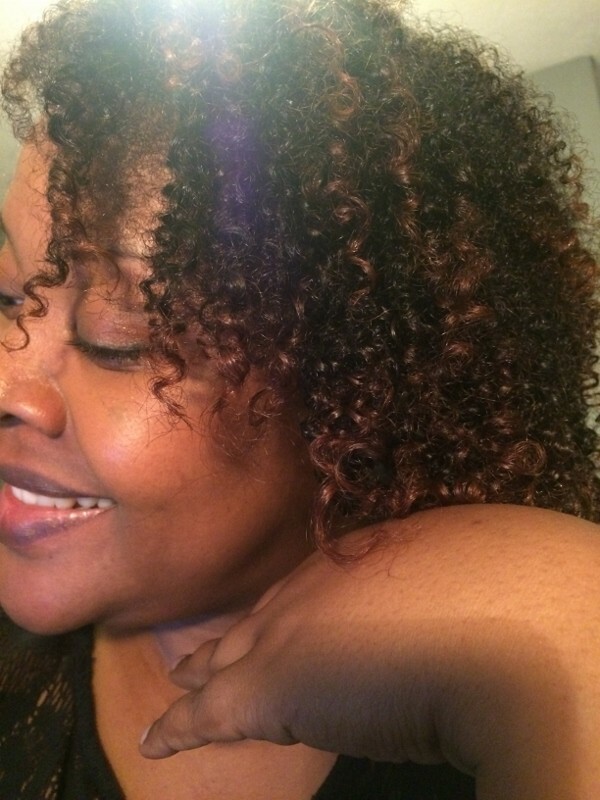 It goes on nice and your hair is conditioned, but I - again - my opion - I prefer a thicker, richer conditioner because I believe conditioner is the food our hair needs. After the washing and conditioning I went further and towel dried my hair and used the same styling products as always. After the second time around I could see a richer more vibriant colour to my bounches. You can see the result in using a coloured shampoo/conditioner. I would even consider in buying the shampoo and just pair it with another conditionerm cause the concept works, I just prefer a more masky - richer - thicker conditioner. I hope that my dead honesty doesn't bite me, but I do believe we get asked for our own opinion and not just a "WOW - IT's AWESOME" review in the hope to get chosen again. In short - I love the shampoo - it is priced perfectly - it does great things to my hair and it smells like heavens doors opend. I would just not say the same for the conditioner. Thanks for letting me part of a great system were we are part of greatness!! 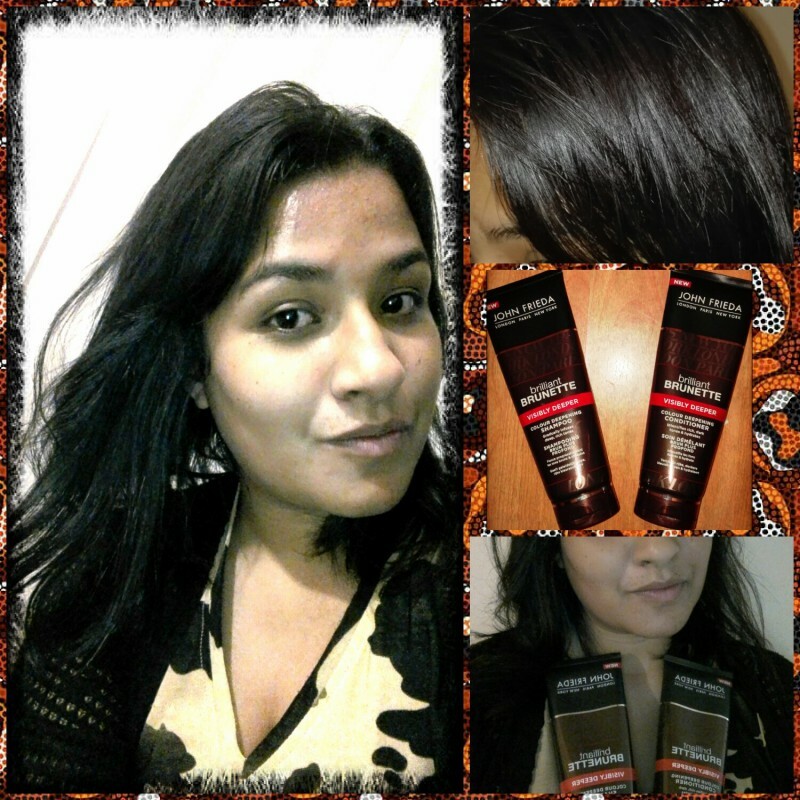 I was so excited and thrilled when BB contacted me to be part of the #meandjohnfrieda campaign. 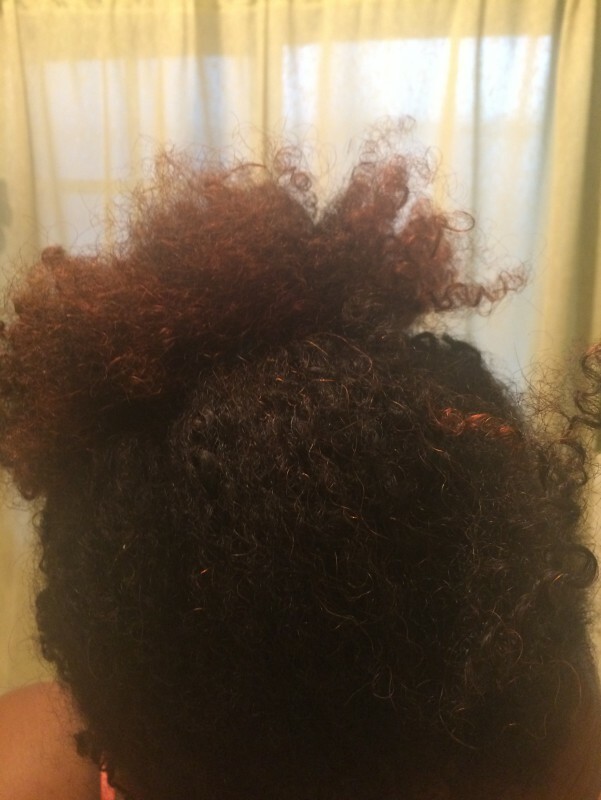 When I received the products I could not wait to try the shampoo and conditioner. I also recently coloured my hair from black to mahogany and usually my colour only lasts a month or so. I suspect this has something to do with the fact that I am not using the correct shampoo/conditioner combination for coloured hair. 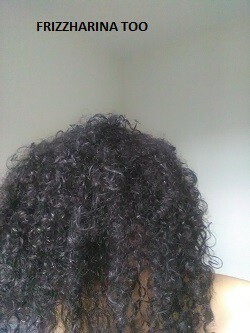 Nevertheless, I have washed and conditioned my hair twice and will do the video review after I have done a third and final wash.
At this point, I need to mention that I have extremely curly/frizzy hair which I often refer to as a 'Frizz Frenzy' or 'Curl Confusion' because of its tendency to tangle after being washed. Thank goodness for my detangler. I received a luxurious full size brilliant brunette shampoo and conditioner but, there are distinct differences between the two. (you will see this in the pics). The shampoo is a very rich, dark brown colour almost dark chocolate while the conditioner, also rich is a much lighter brown. That is how I could tell them apart without looking at what was written on the tube. 250ml is a very generous size and would usually last me just over a month. 1. 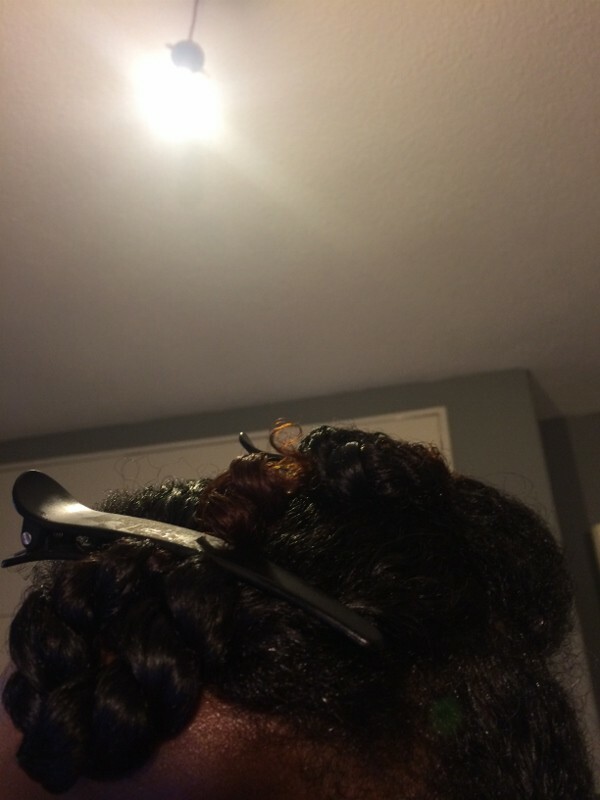 I start off my loosening my hair (which is usually in a soft pinned bun) and comb through gently. I find doing that helps with tangles. 2. Gently wet my hair with some water (if I have to measure that I would say about a cup) just to prepare my hair for the shampoo and save water. 3. Squeeze about a handful of shampoo from the tube but this will vary based on the length of your hair. My hair is short so this is just the correct amount. 4. Apply to hair and massage through roots, scalp and ends. Apply a little water to emulsify. The shampoo has a very rich later and smells great! I savor the cocoa smell which is very distinct! 5. Leave the shampoo on for about a minute. Rinse and apply conditioner. I do not comb it through just use the same massaging technique. Also allow to set for a minute. 6. Finally we rinse. Use an old t-shirt to dry (no towel) and we are ready for styling. 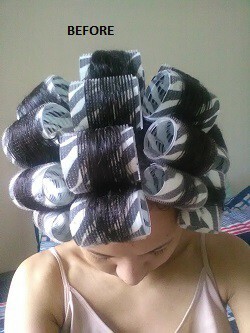 As a rule I try and limit the amount of heat I use on my hair by using Velcro rollers instead. Picked them up at Dischem and they are amazing. No fussing with pins, just roll and stick. 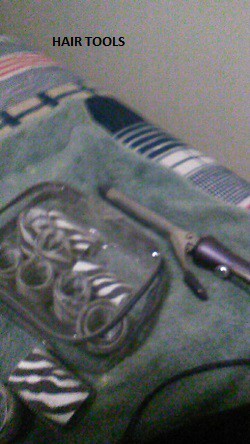 Divide hair into sections and roll using Velcro rollers. Allow hair to dry naturally. Only use a hairdryer during the last 30 minutes before removing the rollers. there is definitely a noticeable difference. The shampoo and conditioner not only enhanced my colour but added volume, texture, softness and easy to manage. I think these products speak for themselves. Whenever I pick up a bottle of #meandjohnfrieda shampoo, conditioner or treatment I know I am getting value for money and a product that delivers on it's promise which is beautiful, salon worthy hair. I do believe that when I run out of stock I will be visiting my local Clicks to pick up another supply and you should too but, don't just take my word for it; try it for yourself. You hair can only go from one level of brilliance to the next!